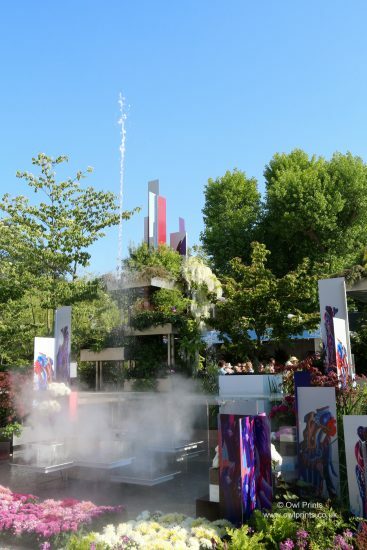 Press Day. 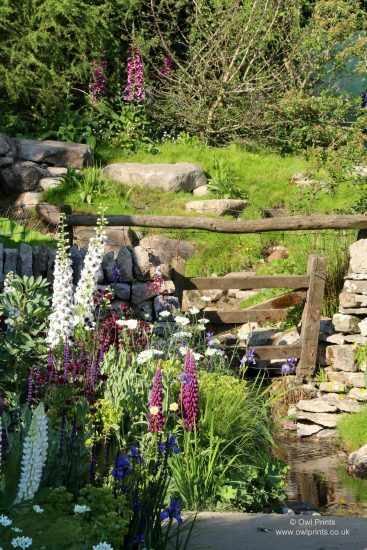 Monday 21 May 2018. 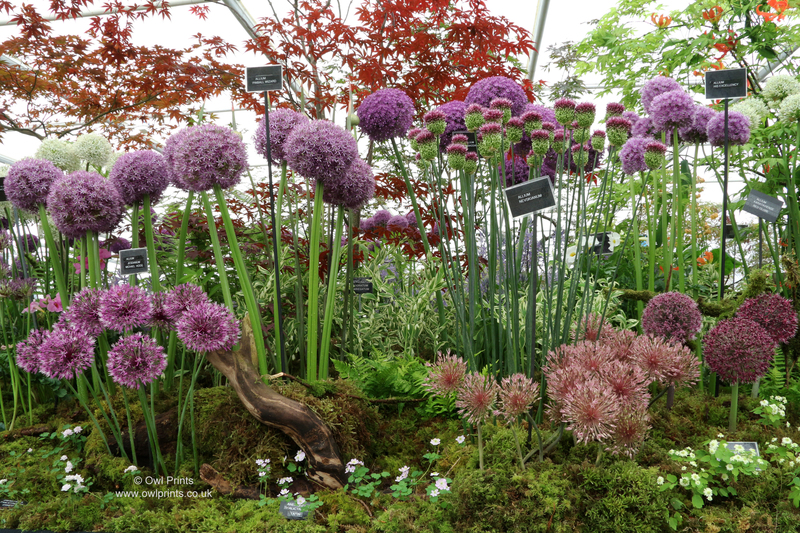 As a member of the the Professional Garden Photographers’ Association I was able to apply for a press pass for Press Day. 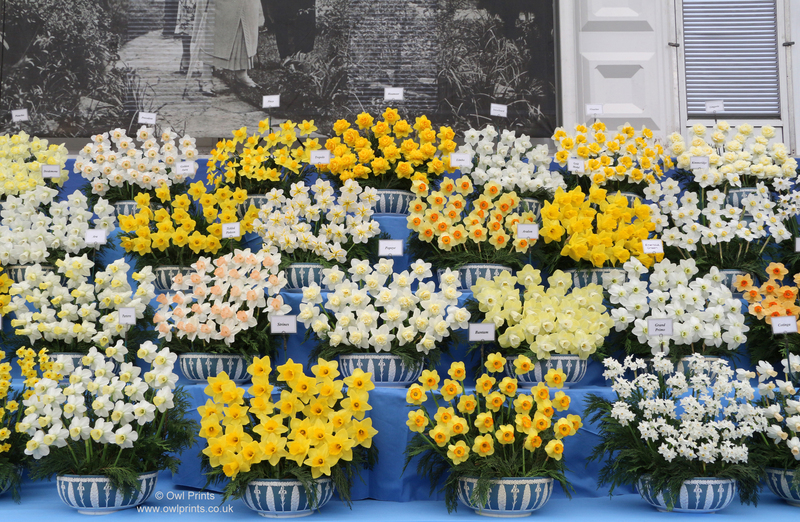 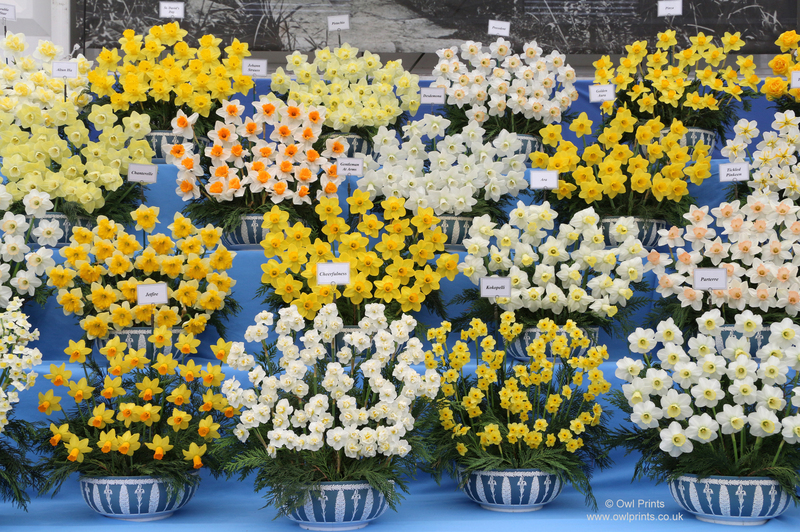 It is so much easier to photograph the displays in the Floral Marquee without the risk, on RHS Members’ day, of people tripping over one’s tripod, or getting in the way of the camera! 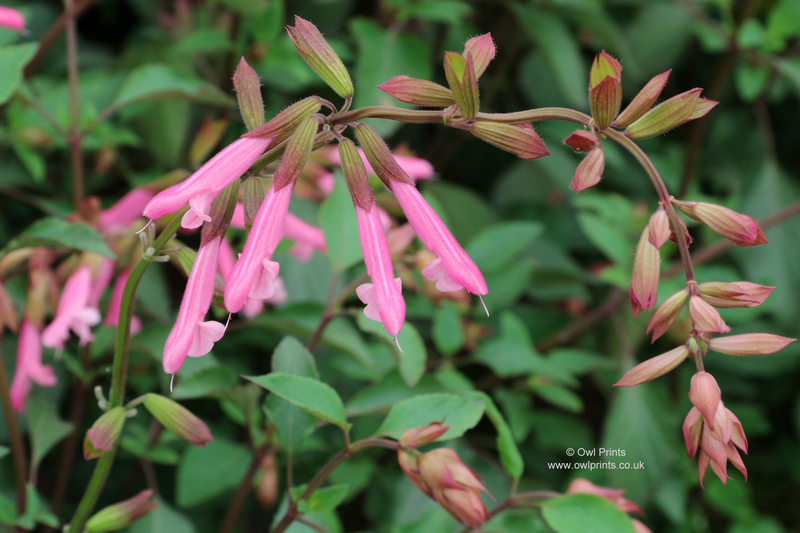 Salvia ‘Kisses and Wishes’. 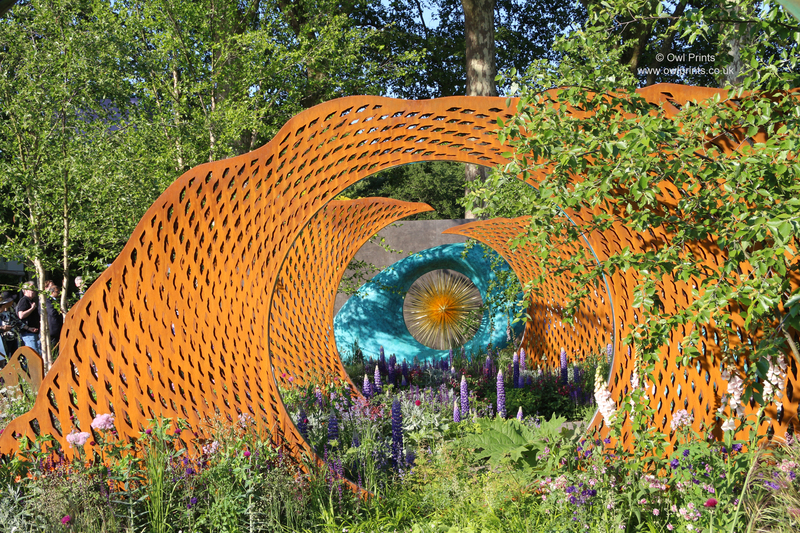 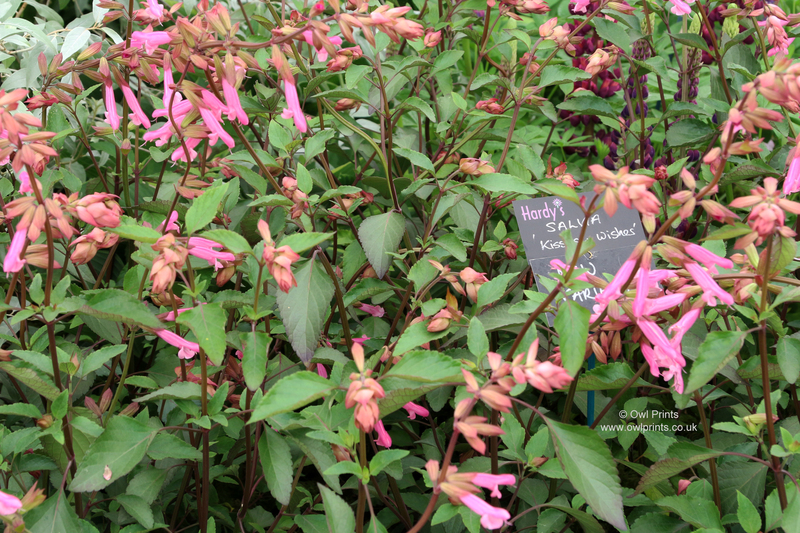 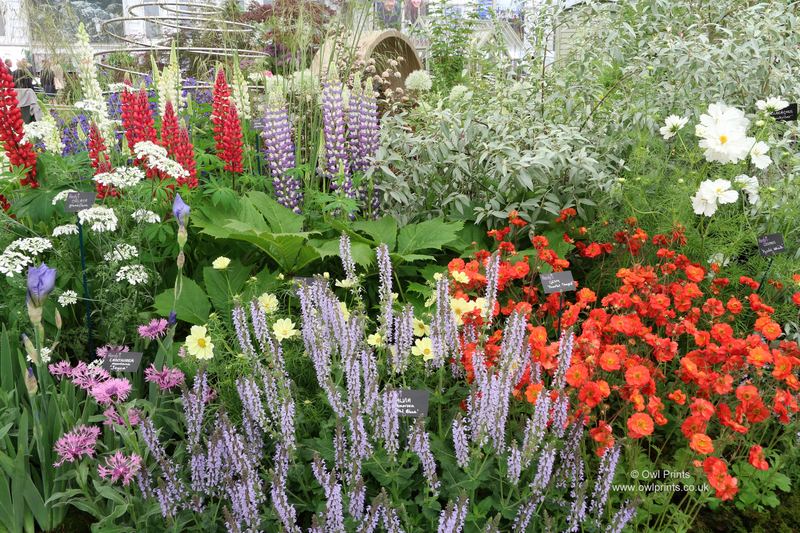 New Salvia, launched at Chelsea Flower Show 2018. 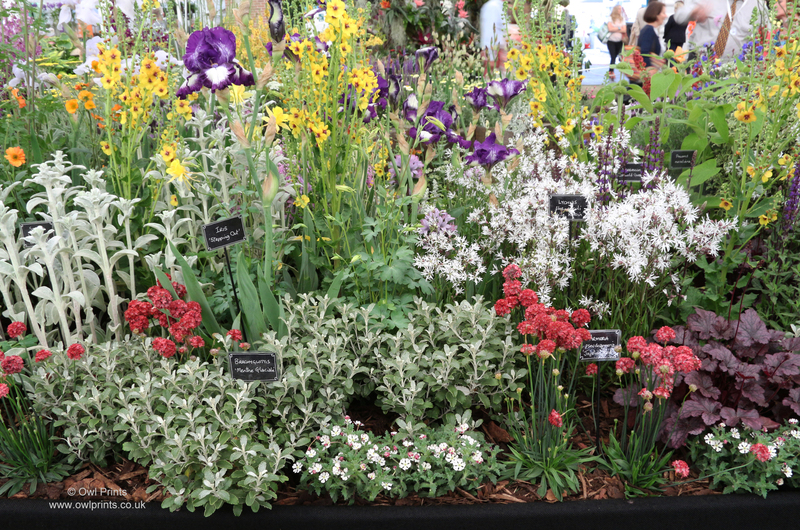 A superb display, awarded a very well deserved Gold Medal. 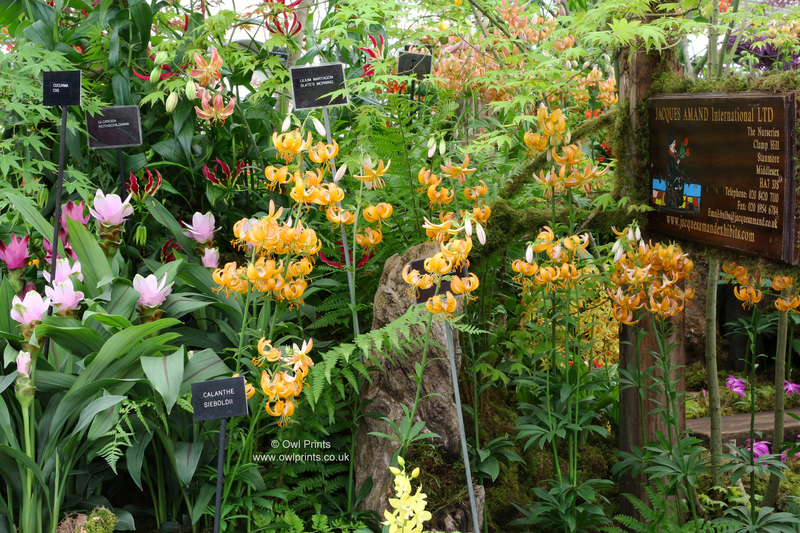 Orchids. 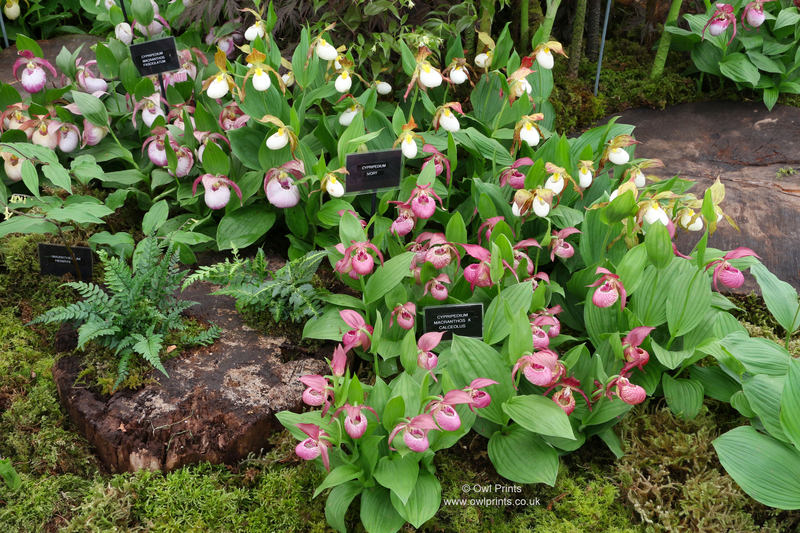 Cypripedium macranthos × calceolus, Cypripedium ‘Ivory’, Cypripedium fasciolatum. 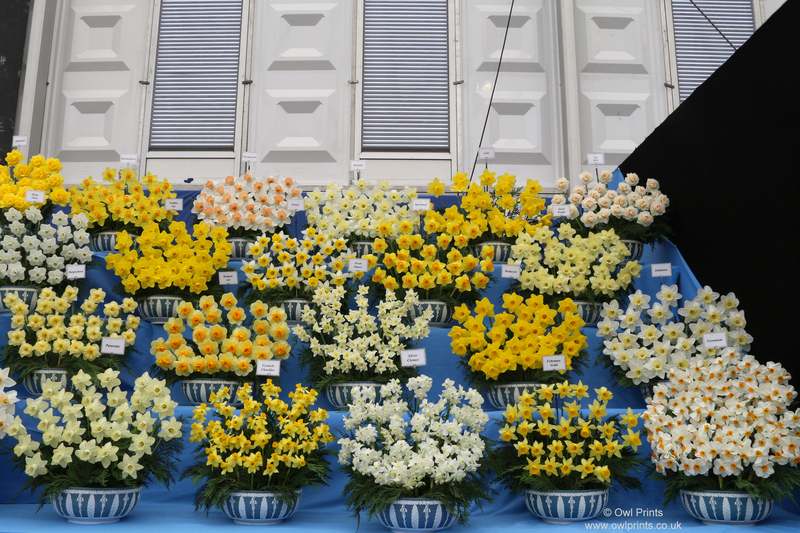 Orchids. 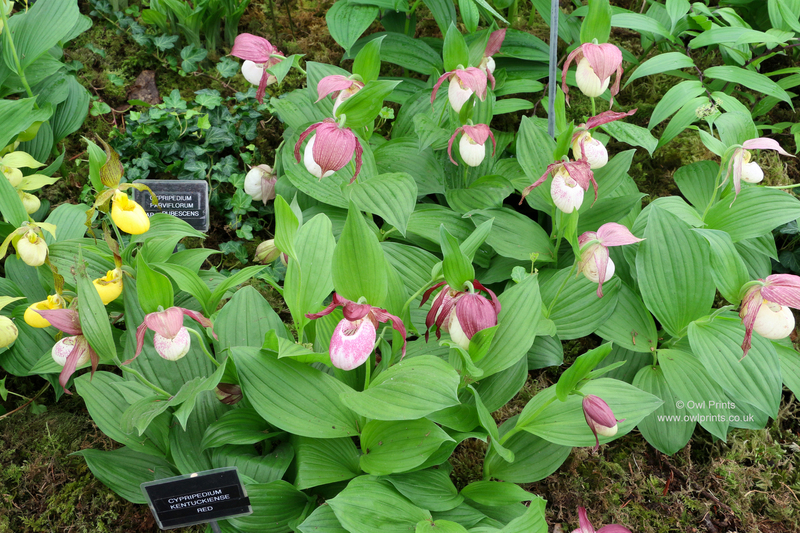 Cypripedium fasciolatum frochii, Cypripedium fasciolatum, Cypripedium ‘Lady Dorine’. 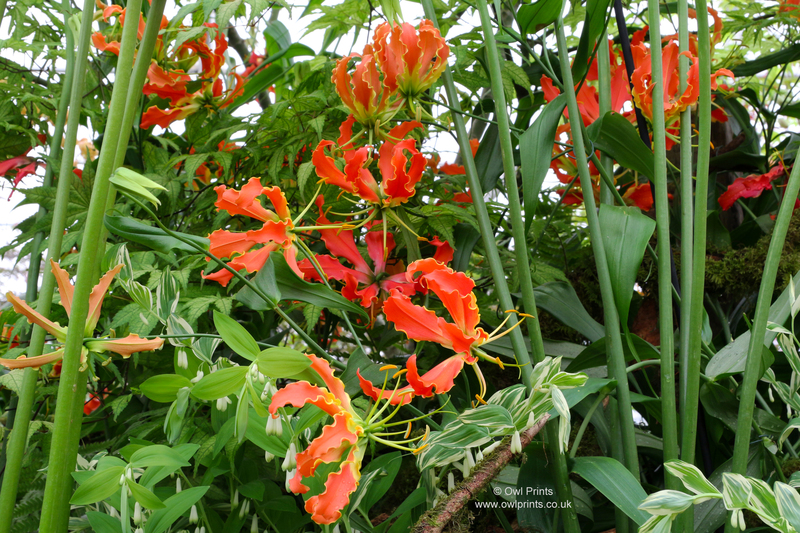 Lilium martagon ‘Slate’s Morning’, Gloriosa rothschildiana, Cucurma. 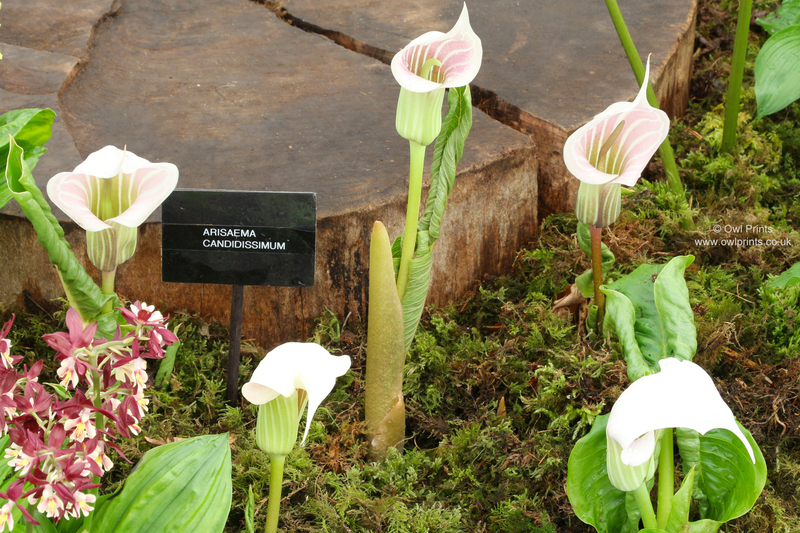 Arisaema candidissimum, Arisaema griffithii var. 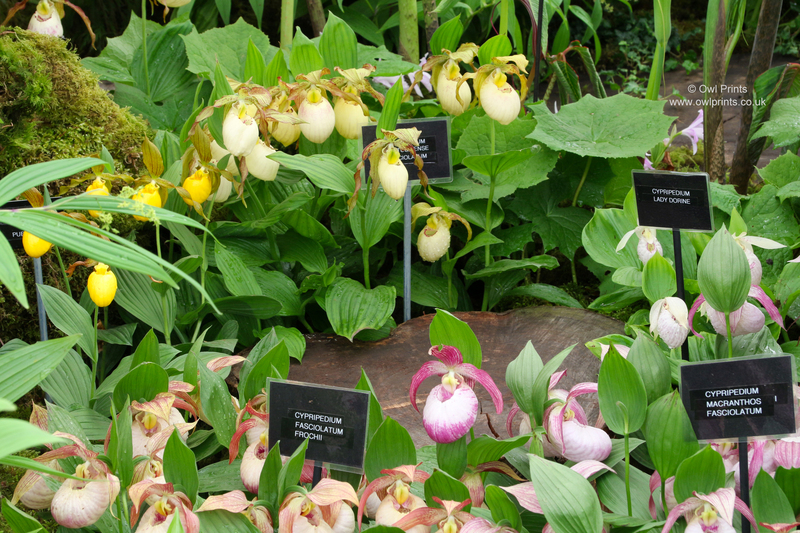 pradhanii, Pleione formosana, Cypripedium reginae f. album. 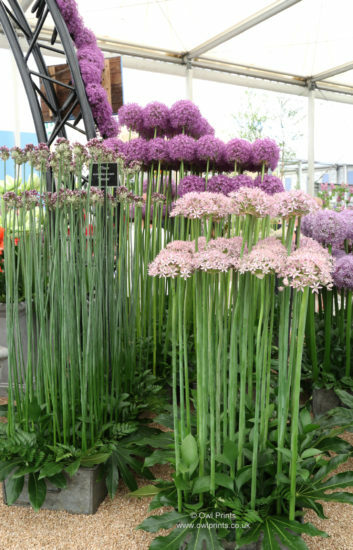 Allium ‘Giganteum’, Allium ‘Globemaster’, Allium sphaerocephalon, Allium ‘Mount Everest, Scardoxus multiflorus. 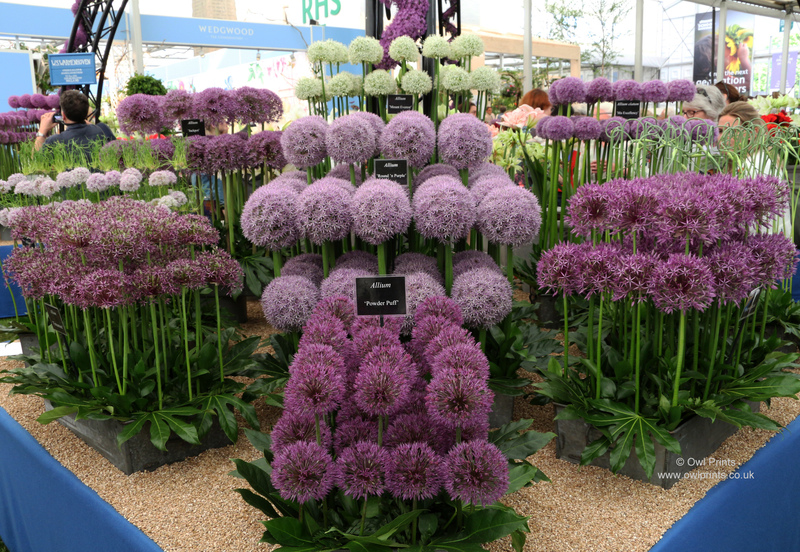 Allium sphaerocephalon, Scardoxus multiflorus, Allium ‘Globemaster’, Allium ‘Powderpuff’, Allium jesdianum, Allium ‘Mount Everest’. 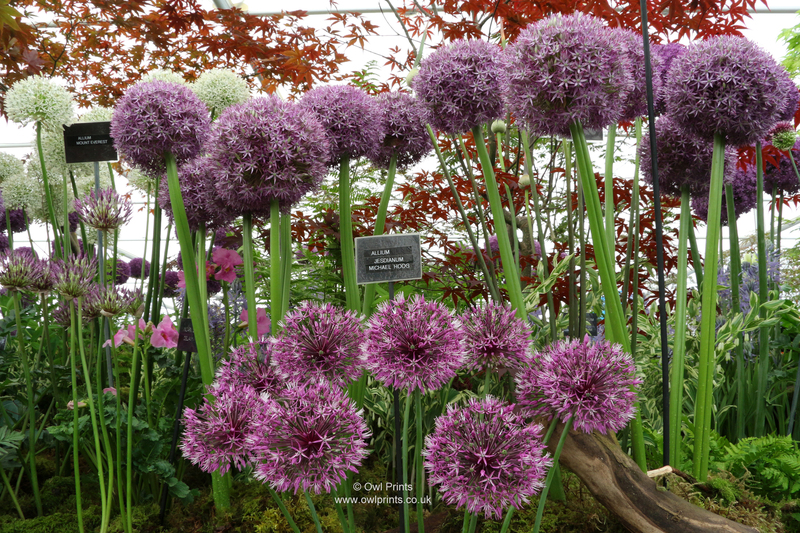 Allium ‘Globemaster’, Allium ‘Powderpuff’, Allium jesdianum, Allium ‘Mount Everest’. 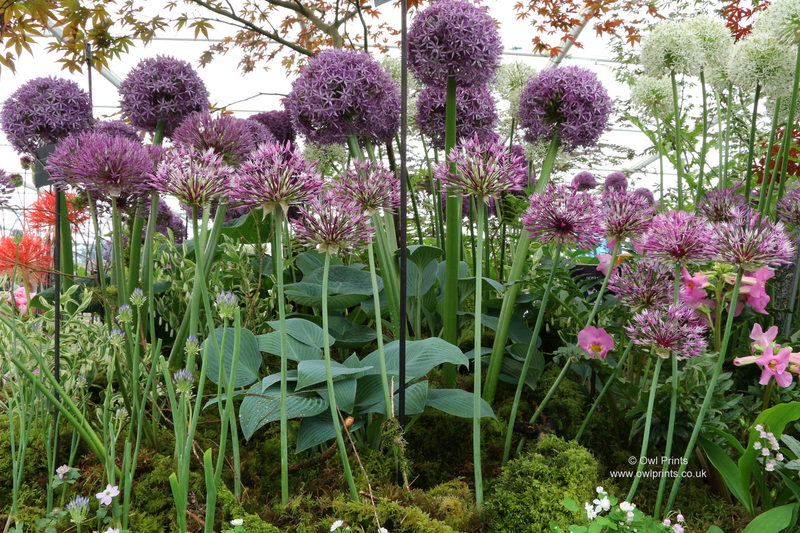 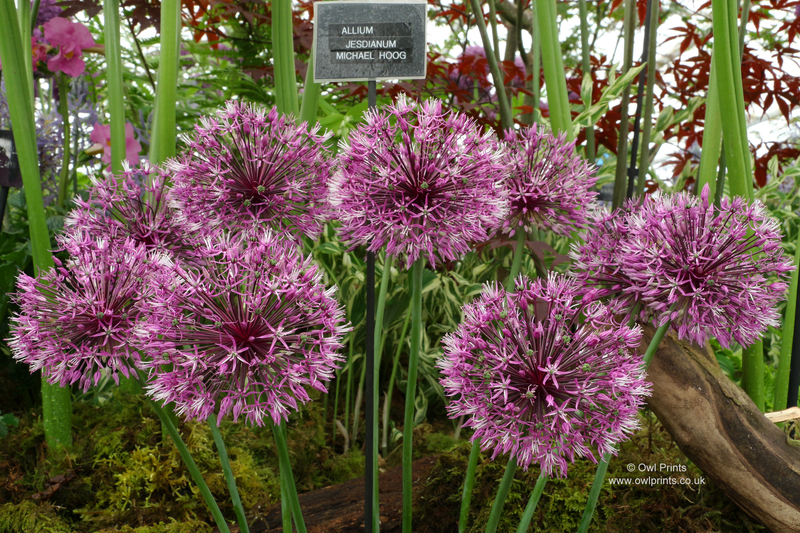 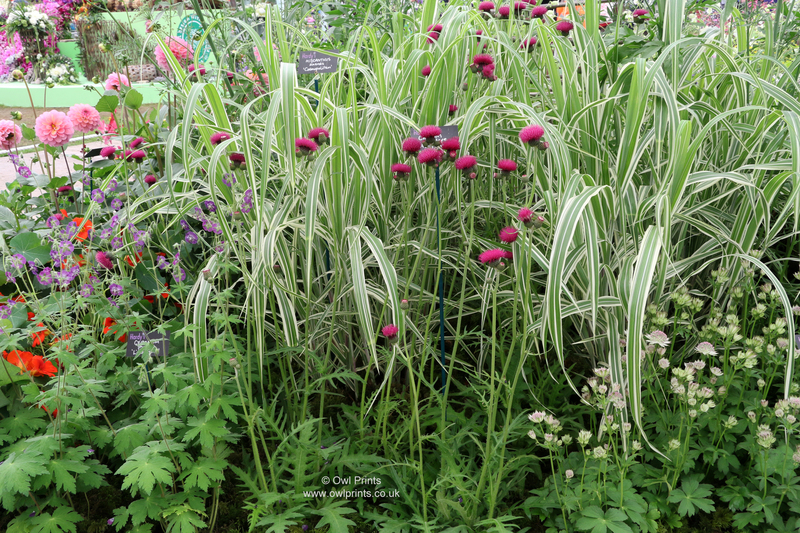 Allium ‘Mount Everest’, Allium ‘Pinball Wizard, Allium jesdianum ‘Michael Hoog’. 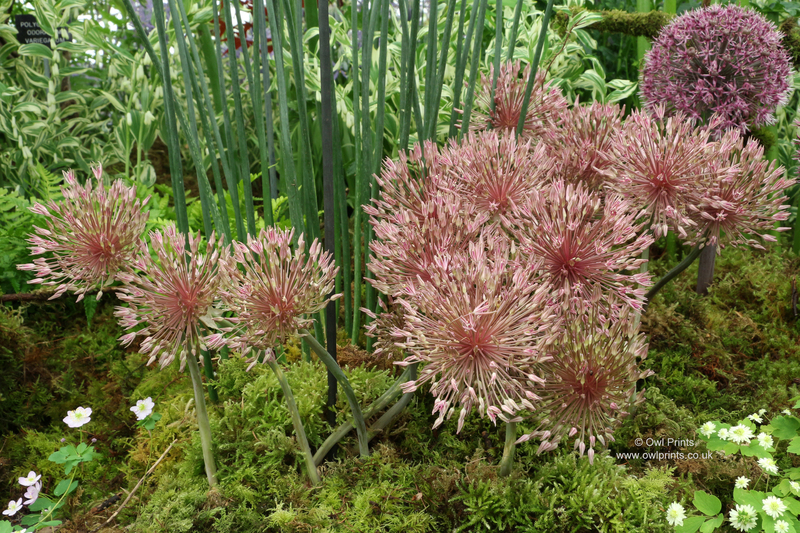 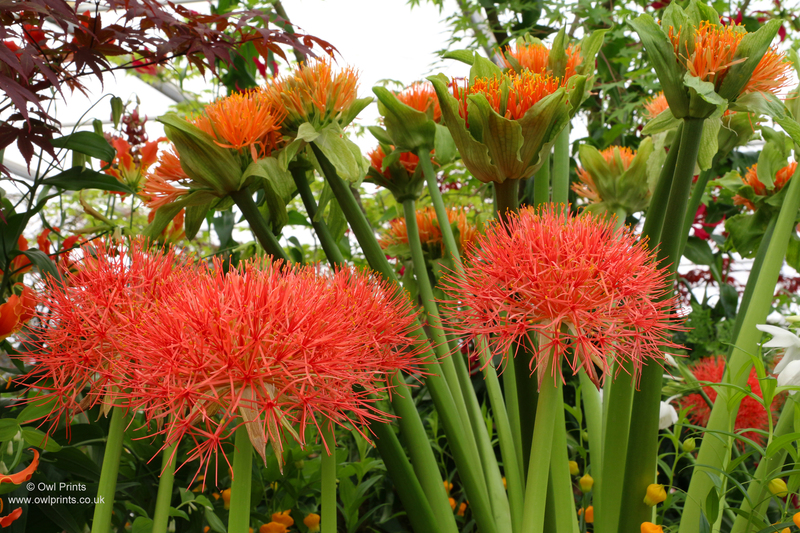 Allium ‘Mount Everest’, Allium jesdianum ‘Michael Hoog’, Allium ‘Pinball Wizard’, Allium ‘Ambassador’, Allium sphaerocephalon, Allium nevskianum, Allium macleanii ‘His Excellency’, Allium karataviense ‘Red Globe’. 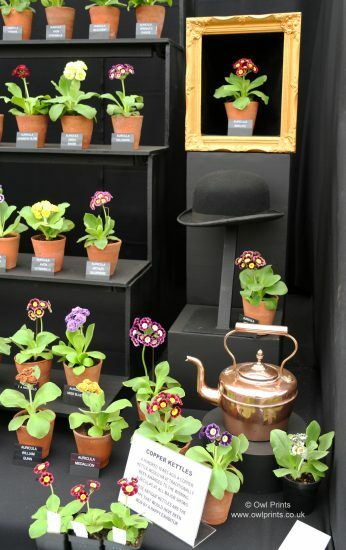 A great display, awarded a very well deserved Gold Medal. 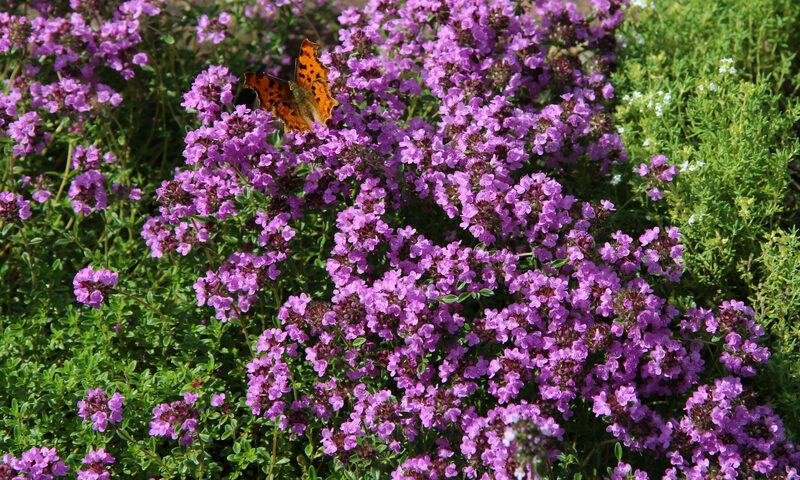 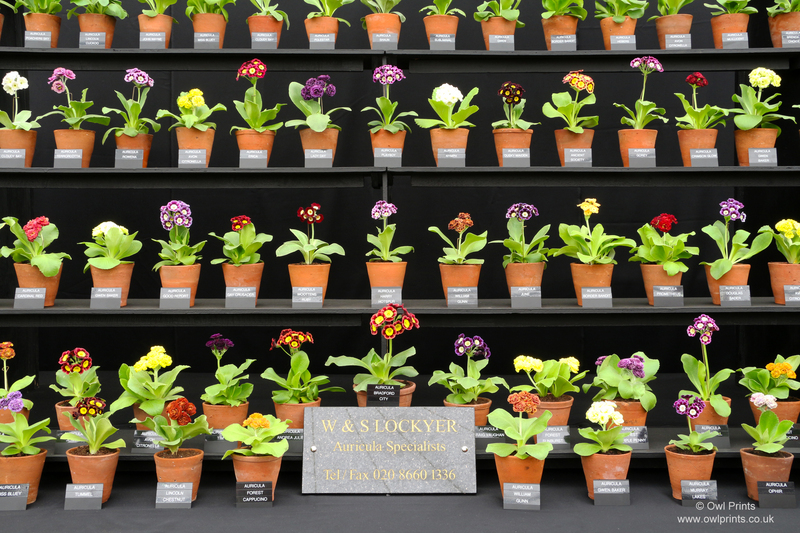 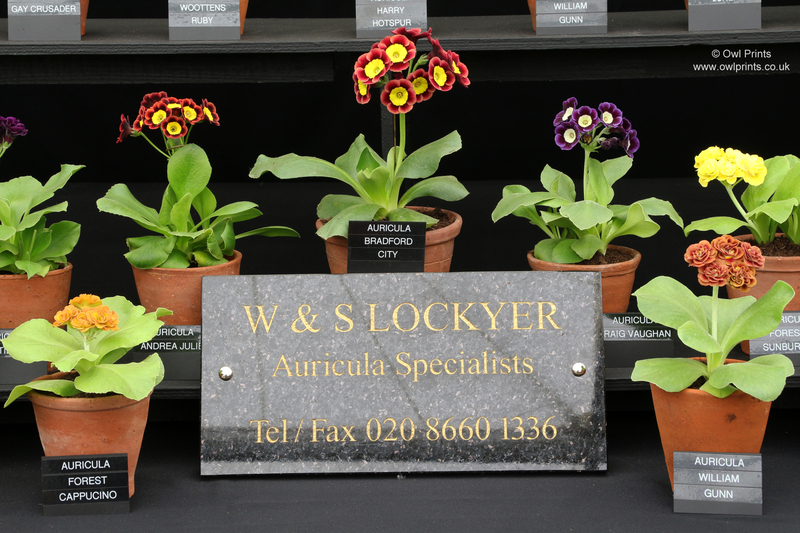 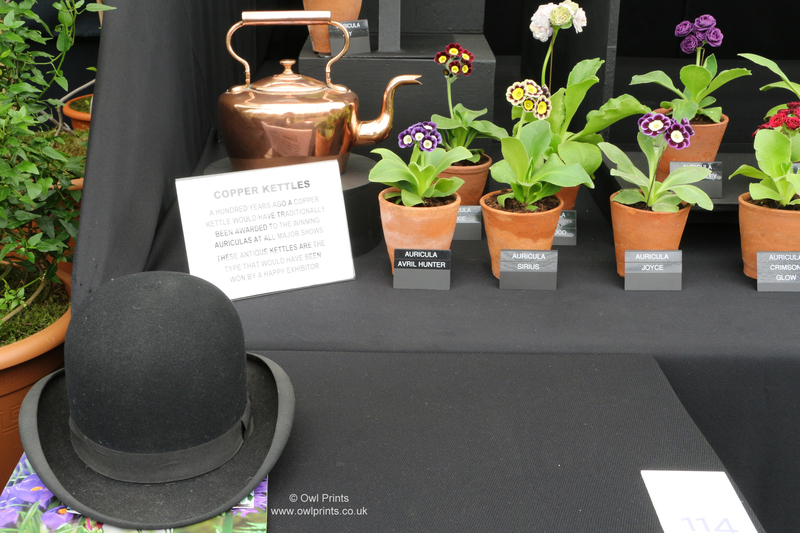 RHS Members’ Day. 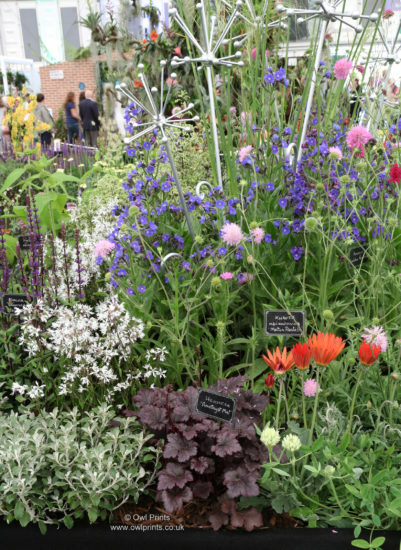 Tuesday 22 May 2018. 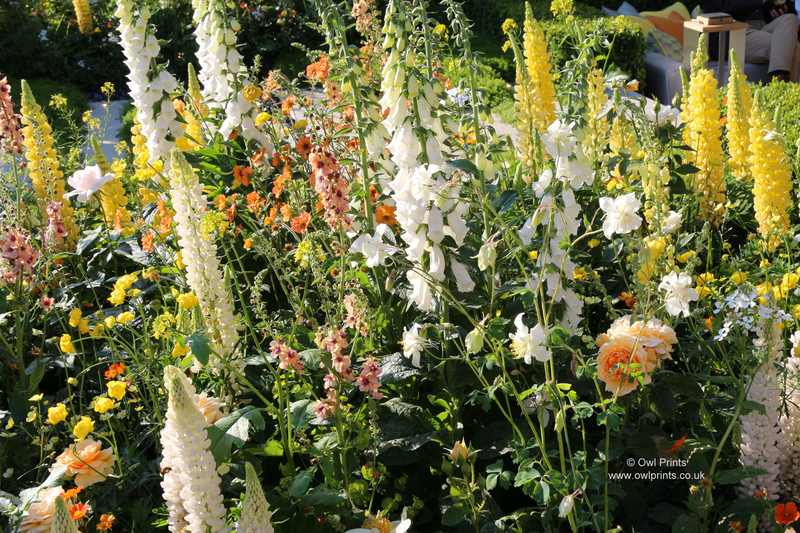 A very hot day with glorious sunshine. 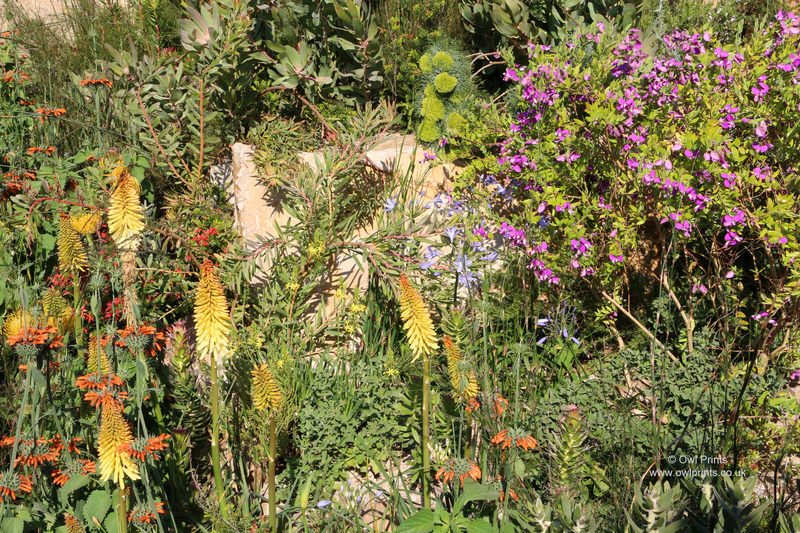 Some great Show Gardens, but others which were not so good. 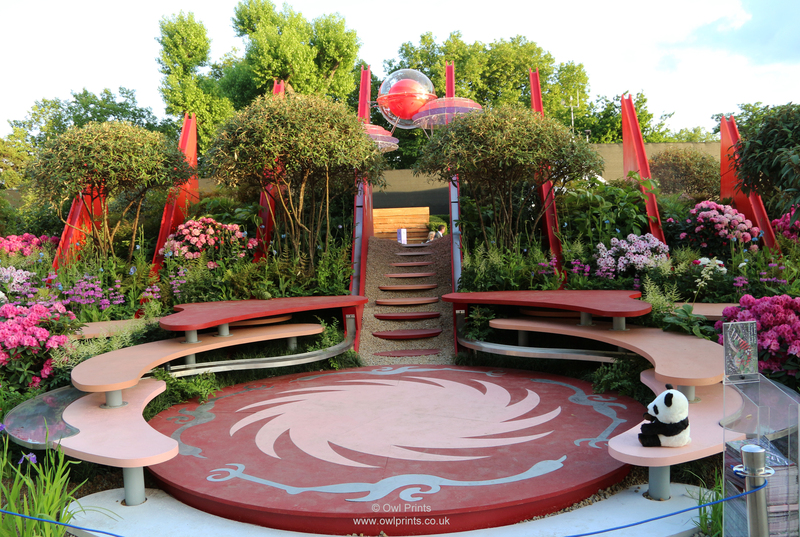 The Morgan Stanley Garden for the NSPCC. 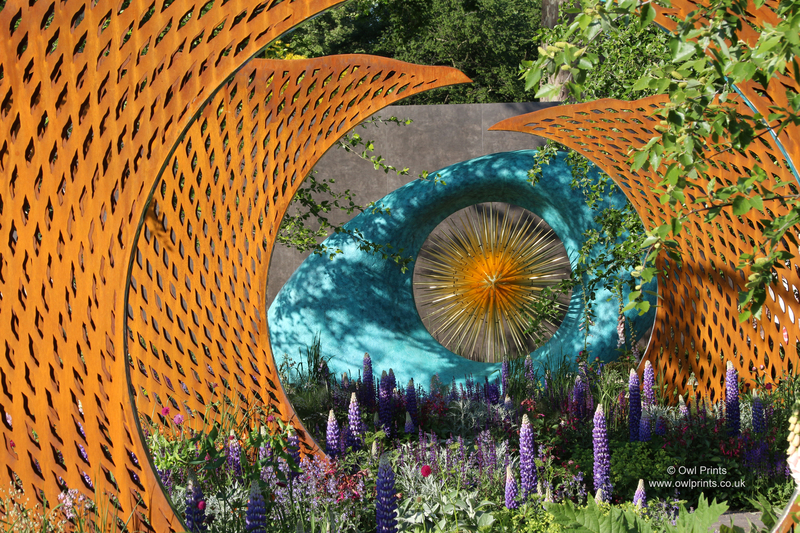 Designed by Chris Beardshaw. 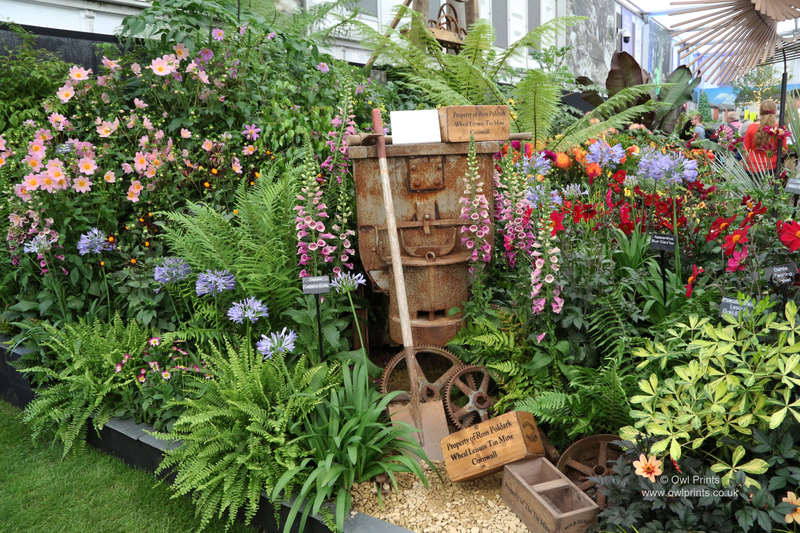 Awarded Gold Medal and Best Show Garden. 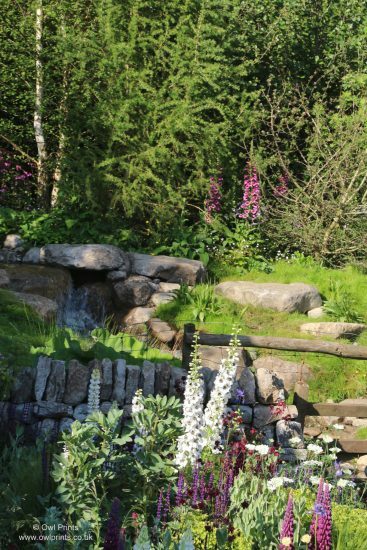 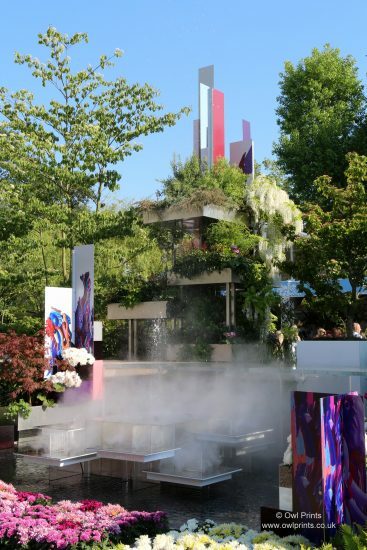 The water feature was great, but the planting was boring and a shadow of what they achieved in their 2017 display. 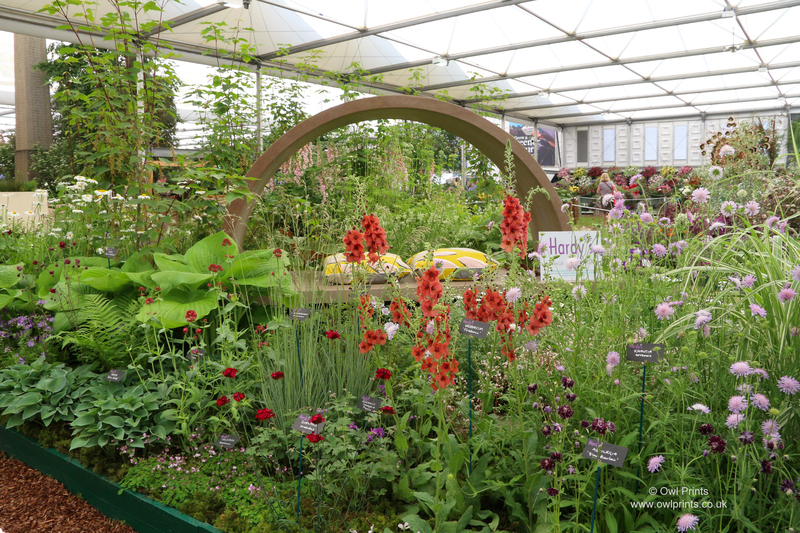 In my opinion a well deserved Bronze Medal! 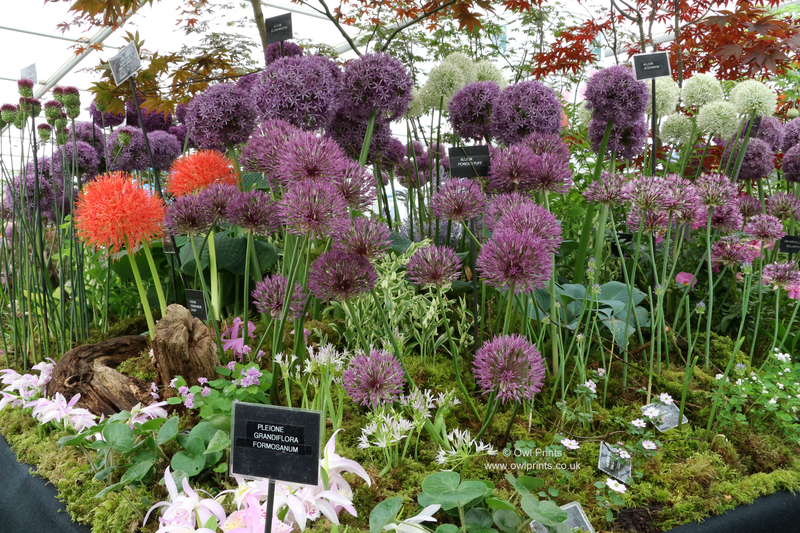 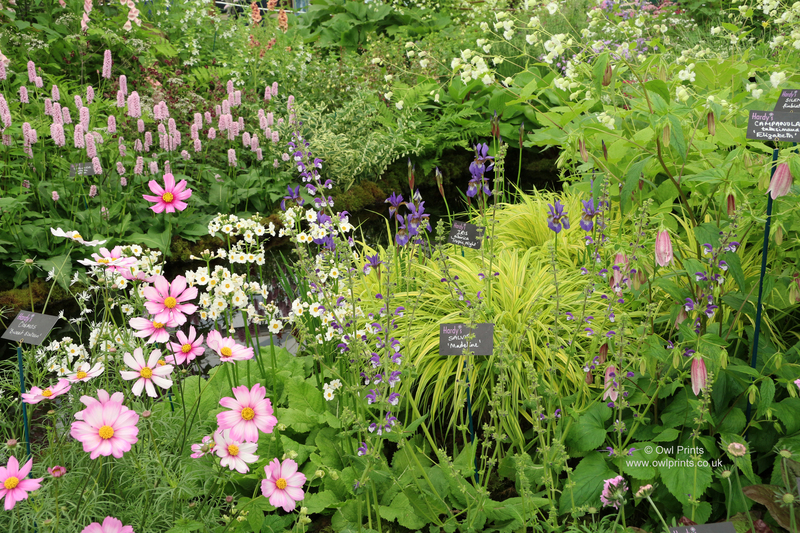 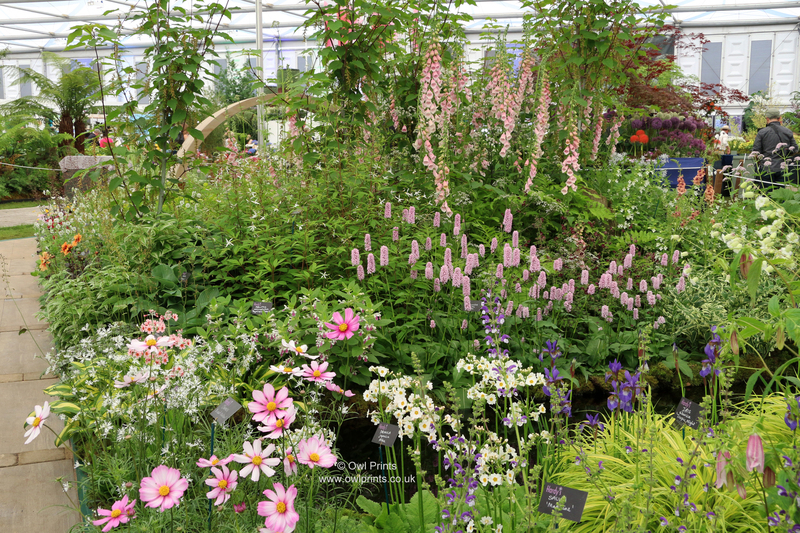 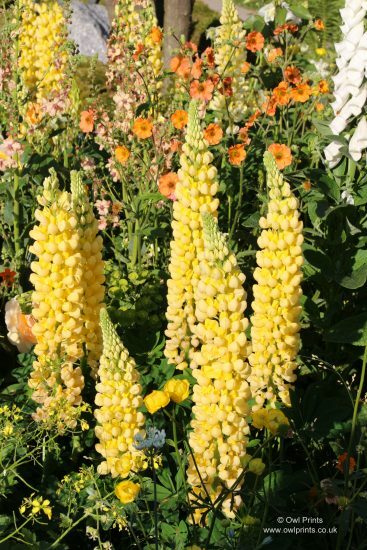 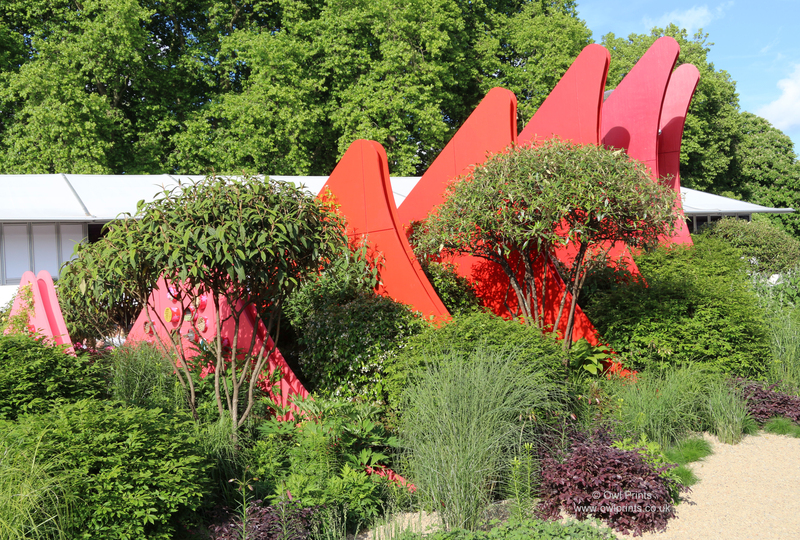 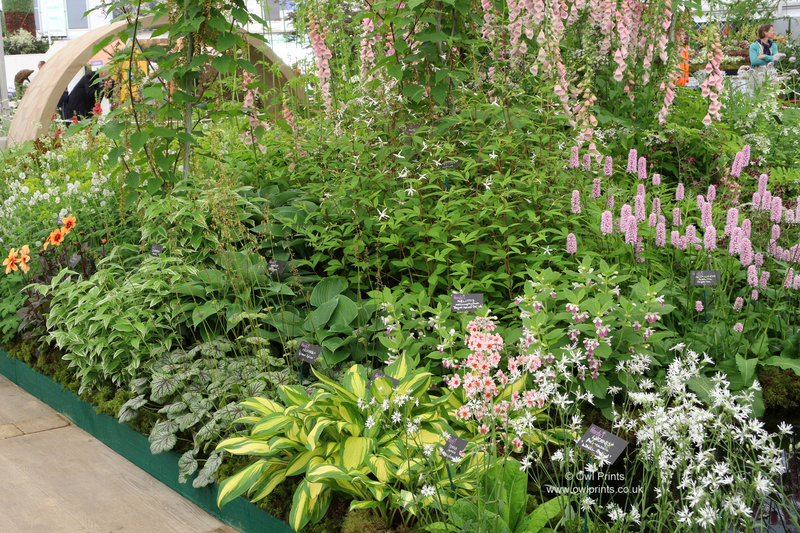 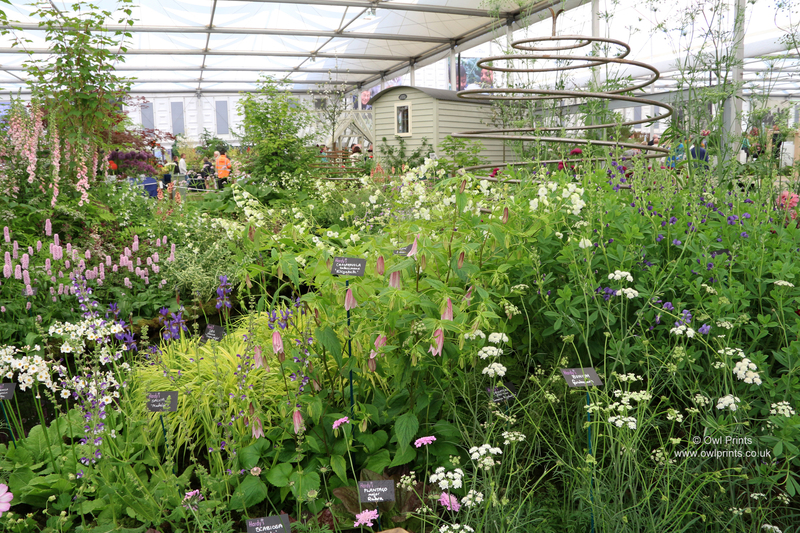 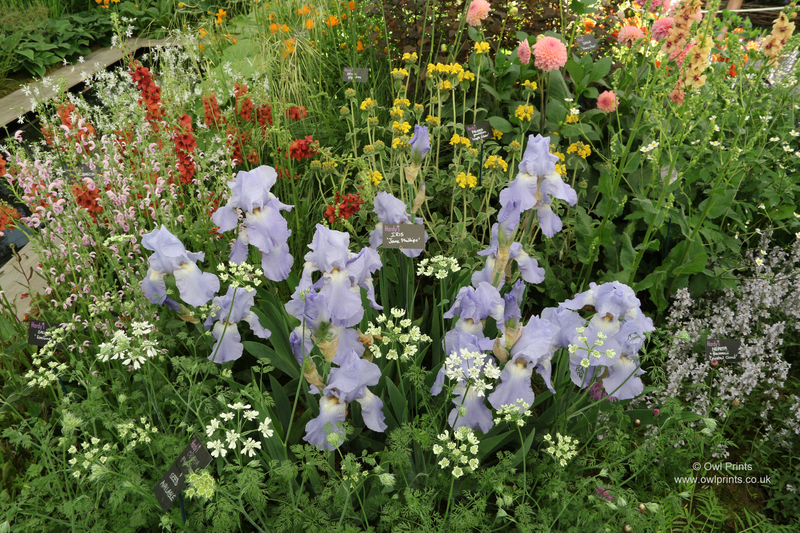 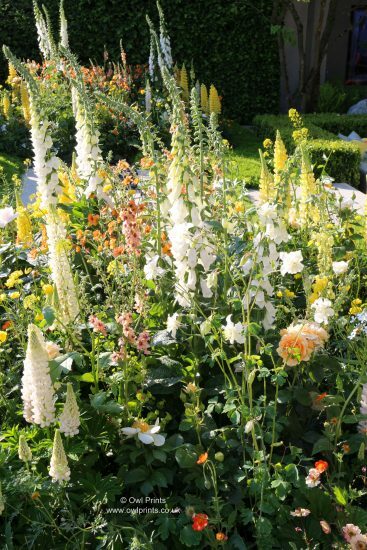 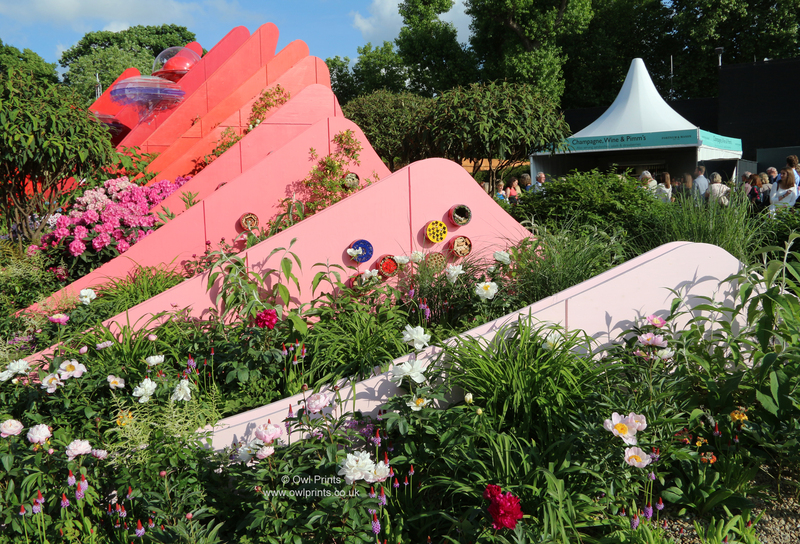 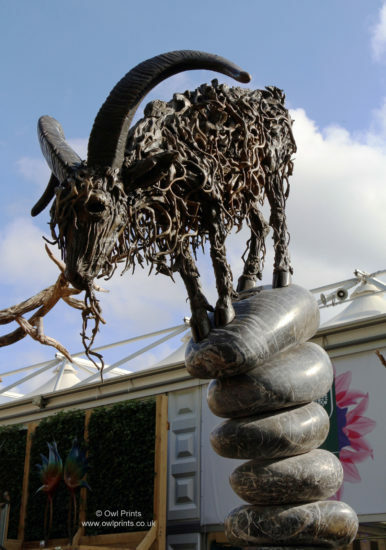 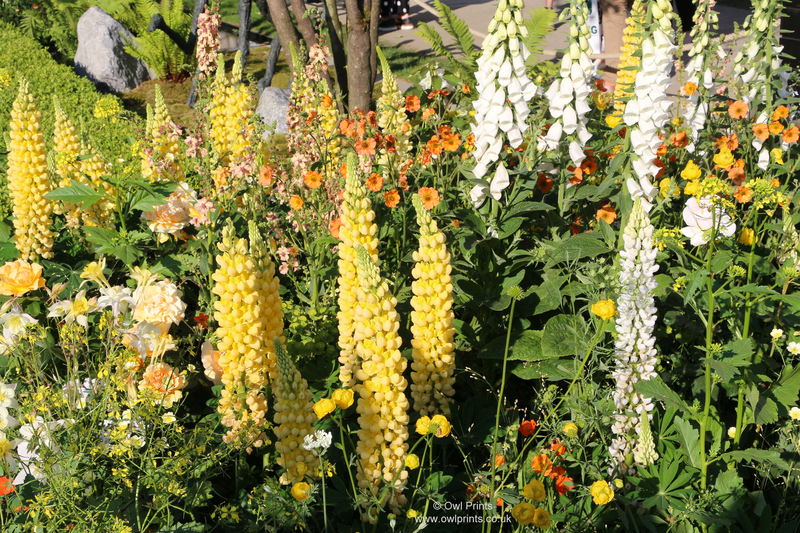 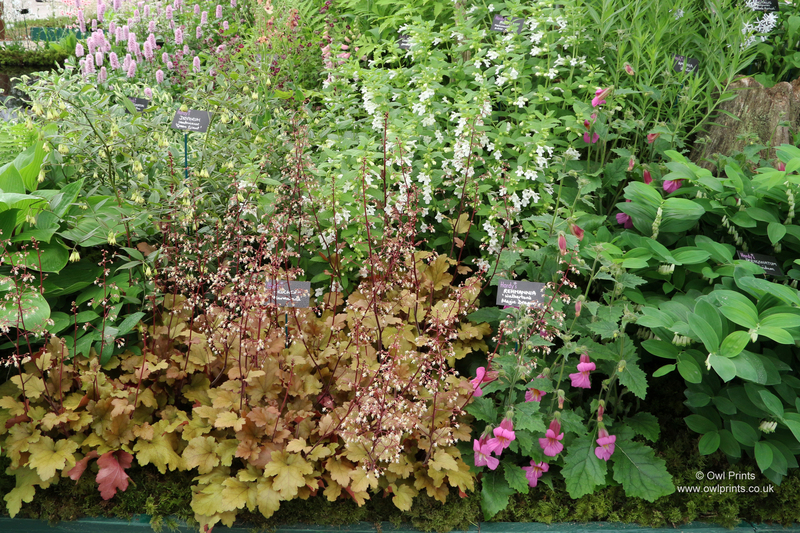 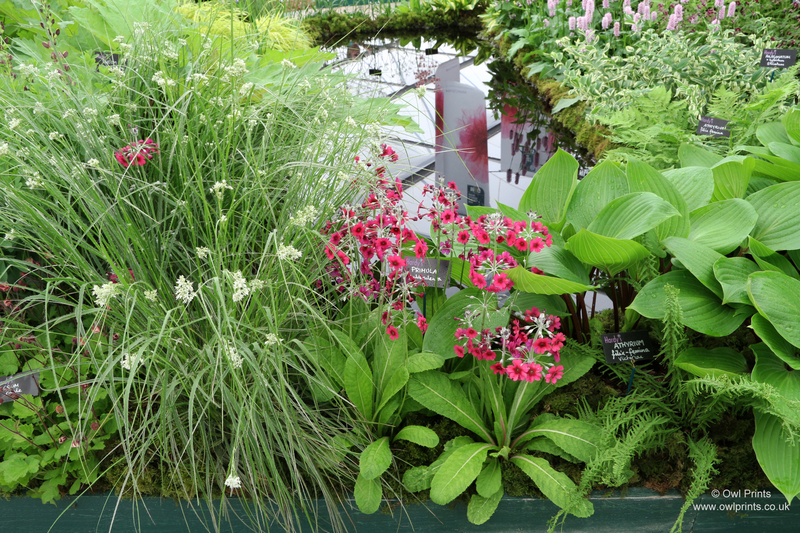 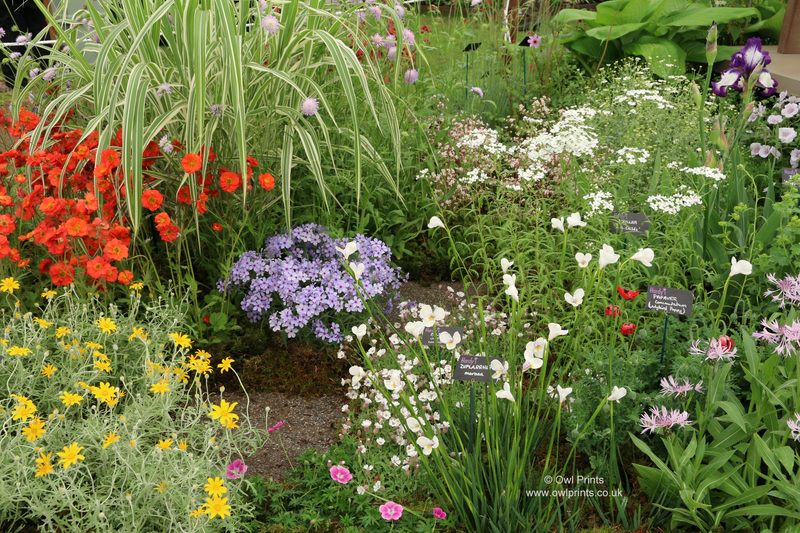 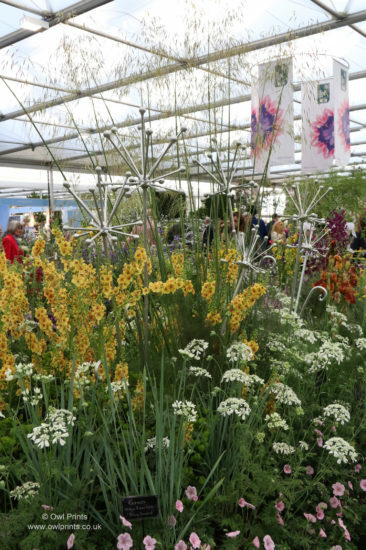 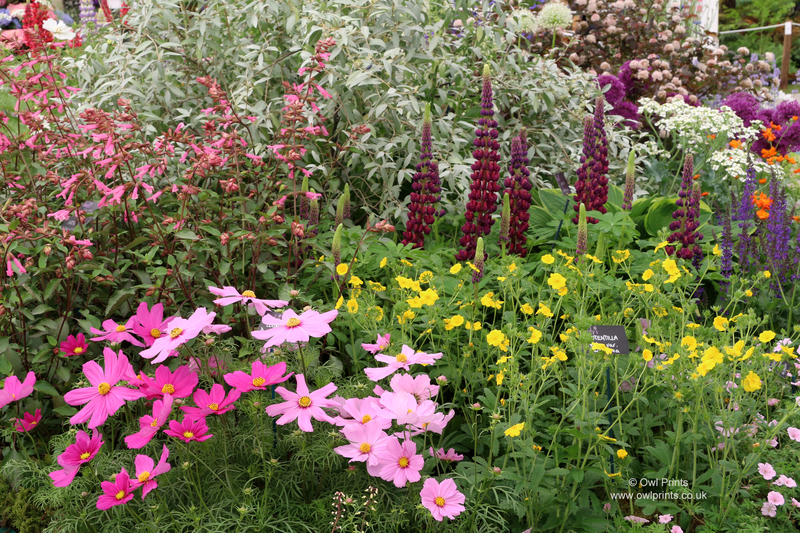 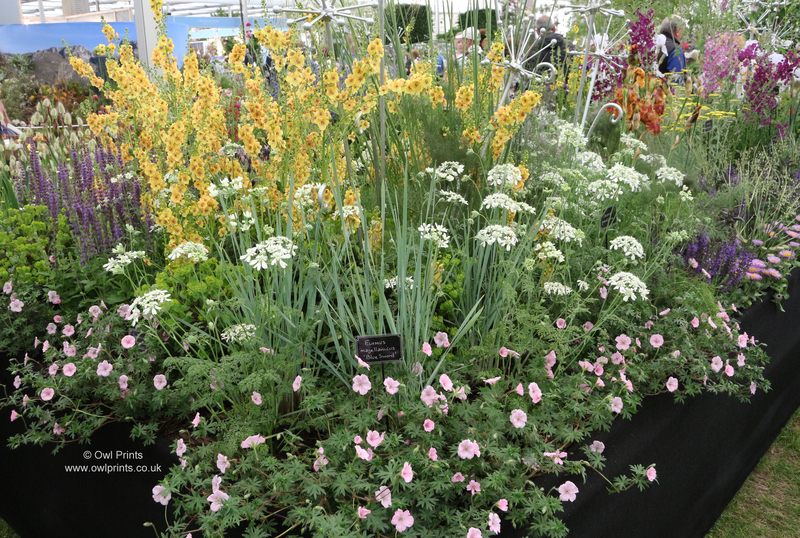 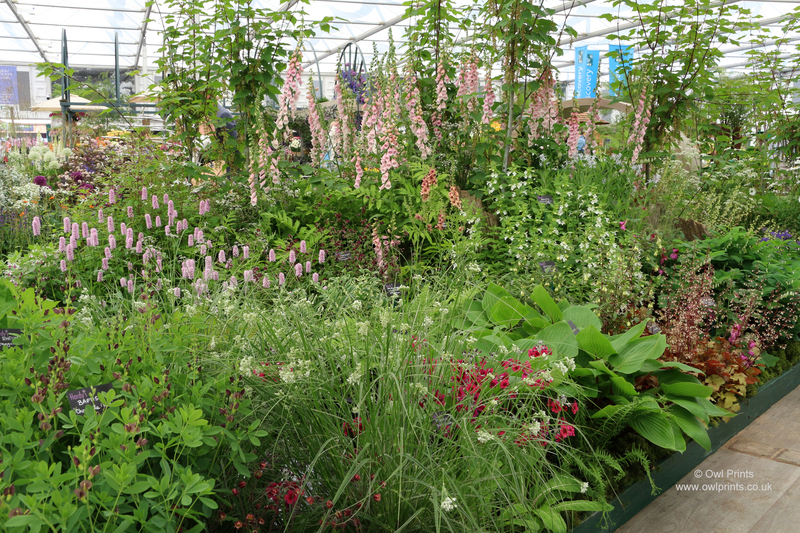 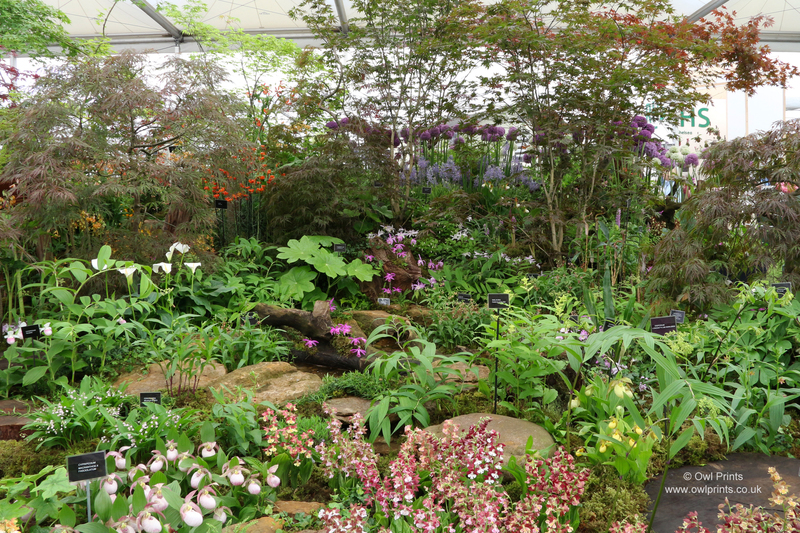 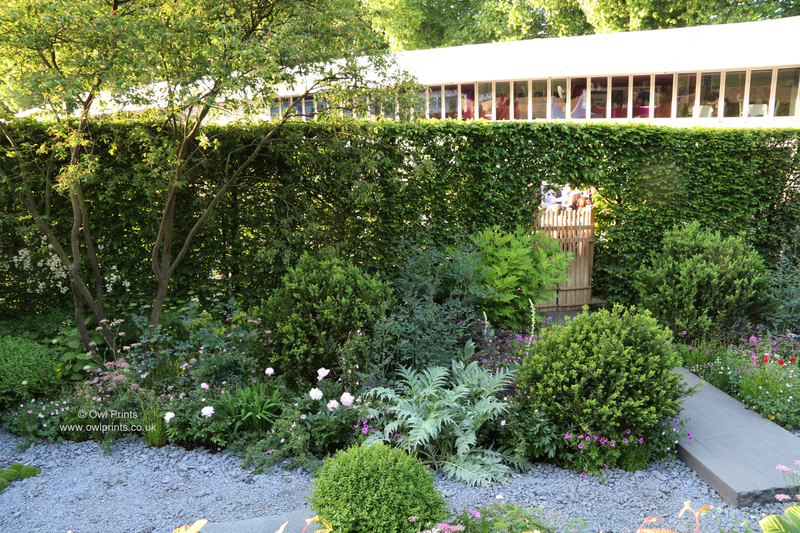 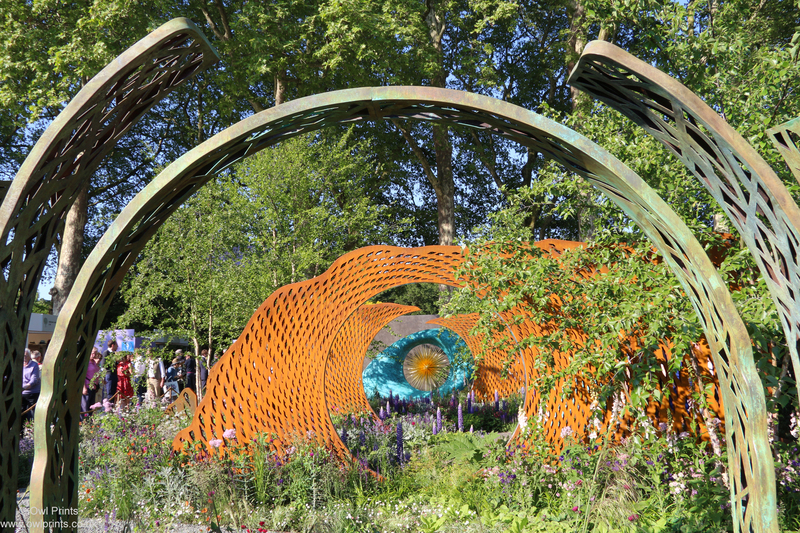 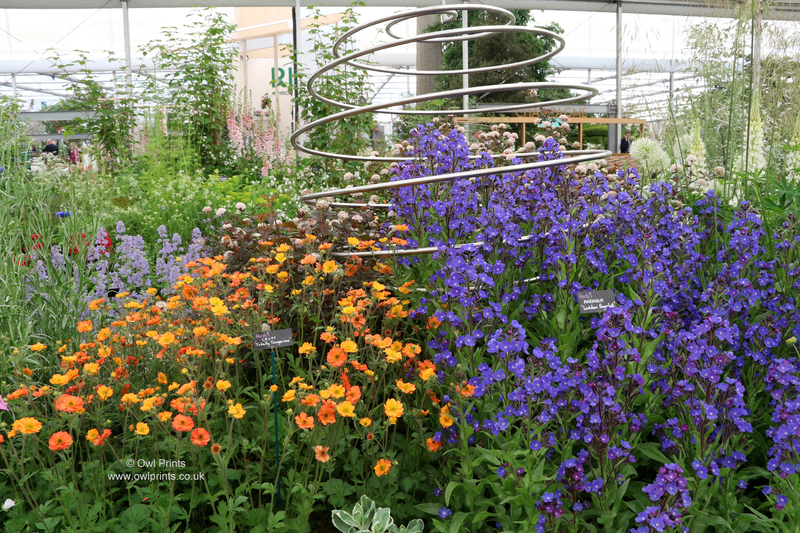 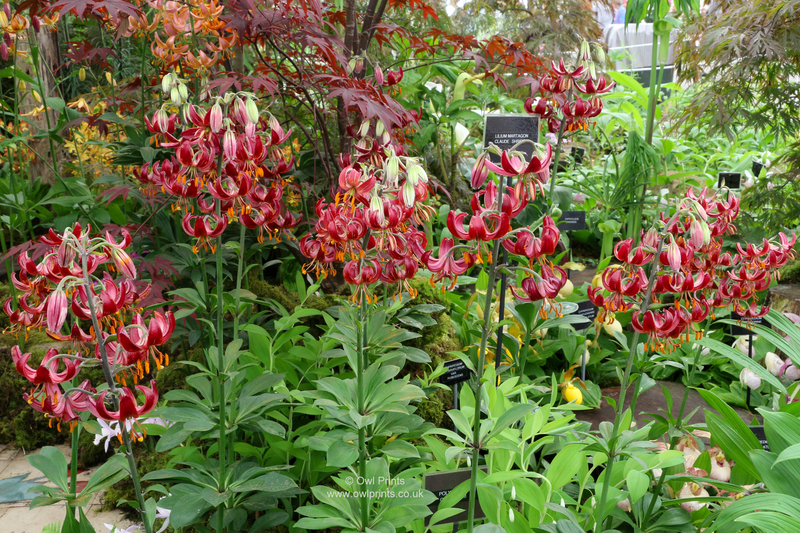 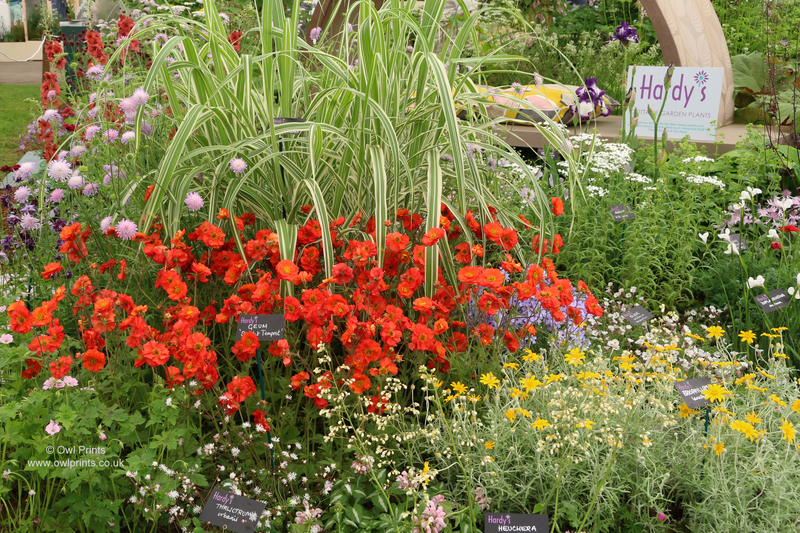 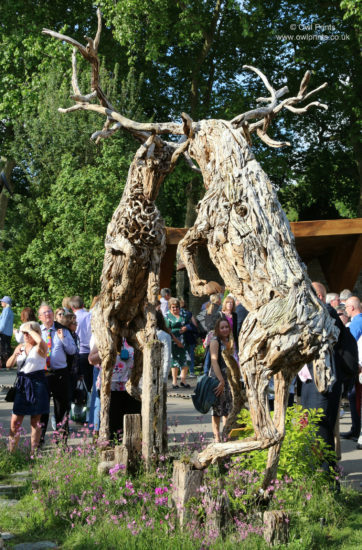 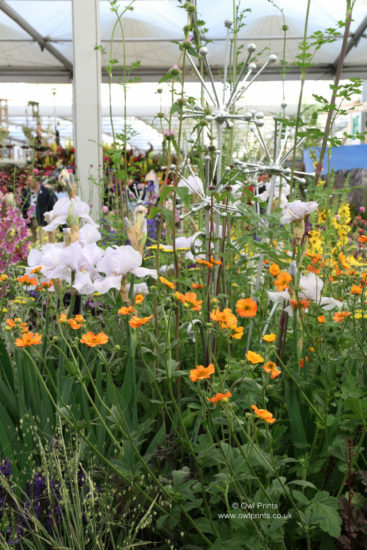 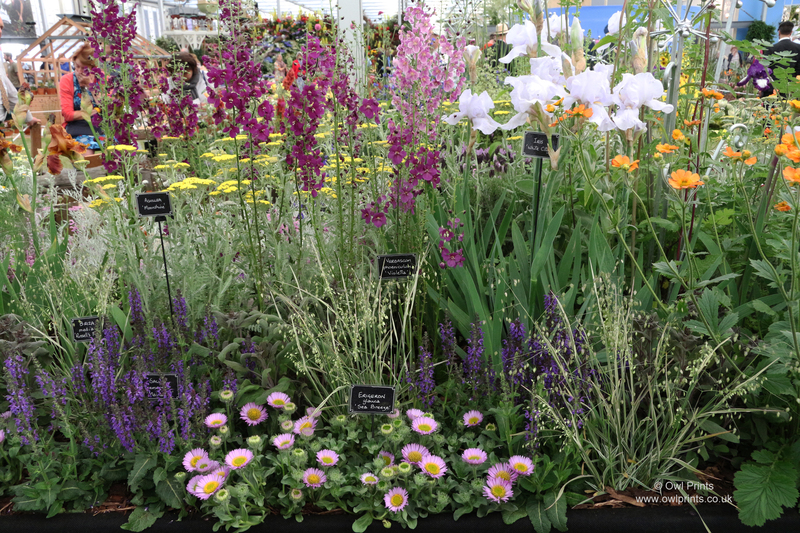 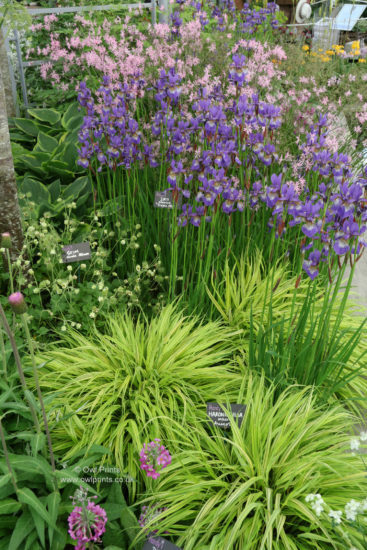 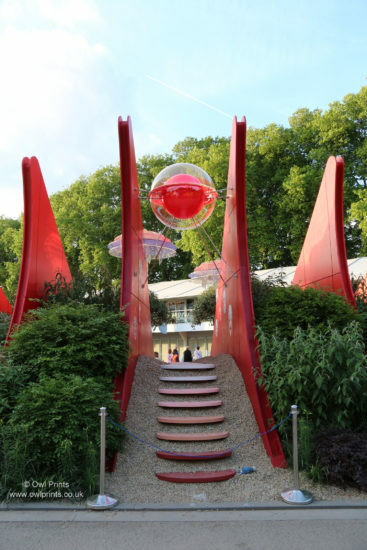 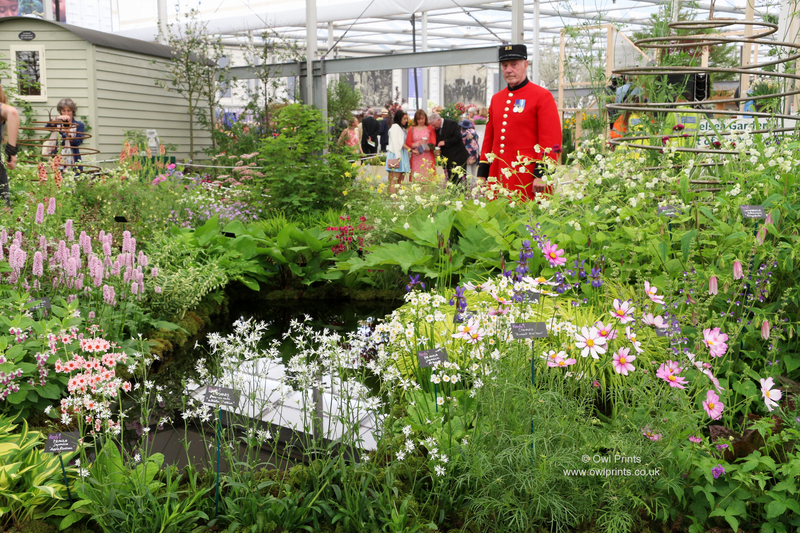 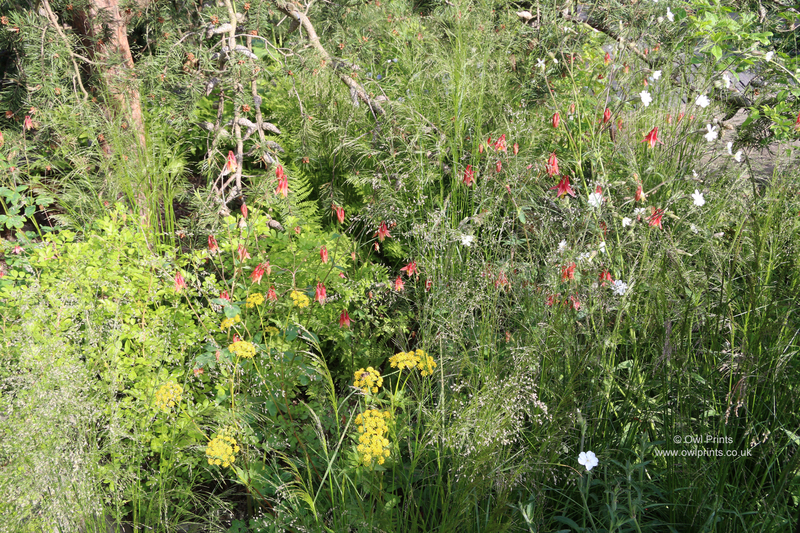 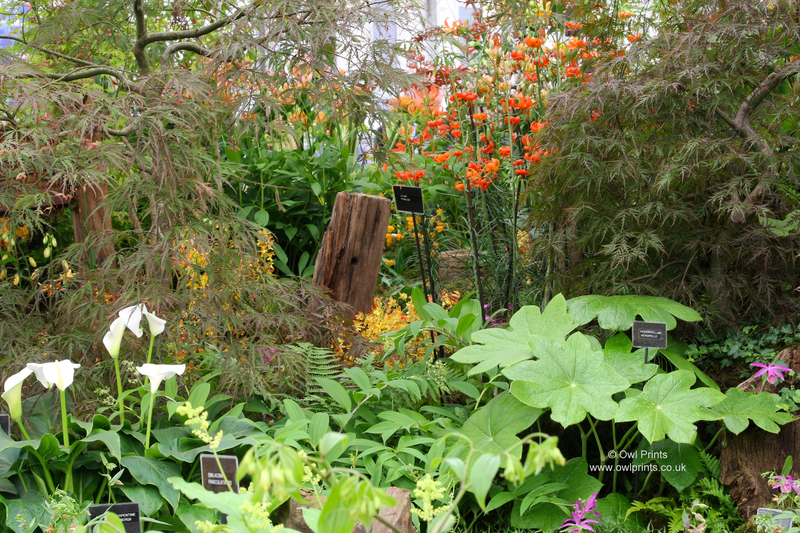 I have been visiting the Chelsea Flower Show for more than 30 years; what a great day out for gardeners. 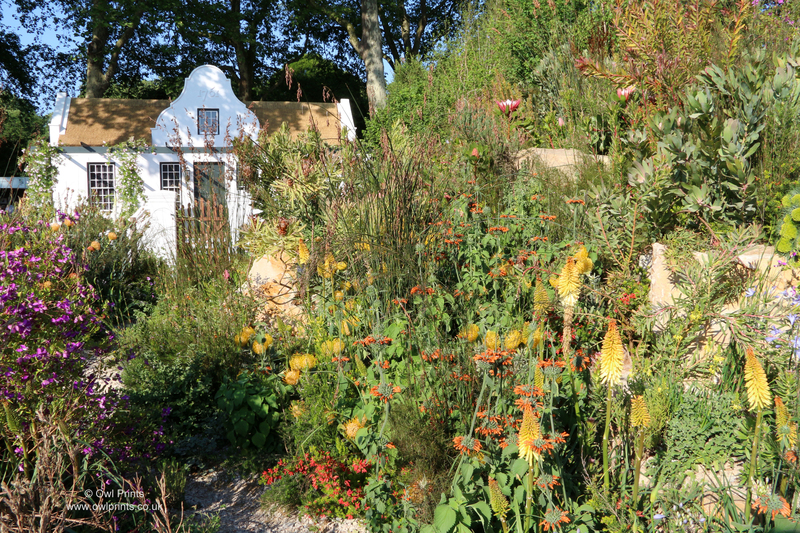 Not as many Show Gardens as in previous years, but the usual mix of magnificent and controversial! 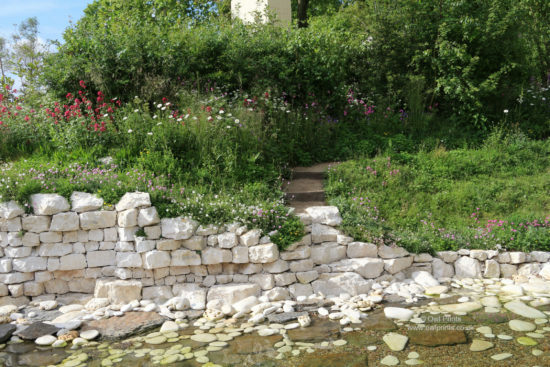 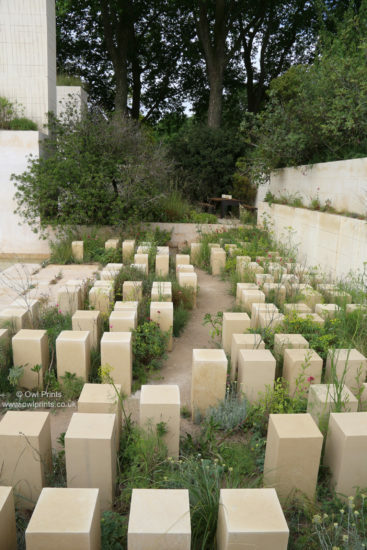 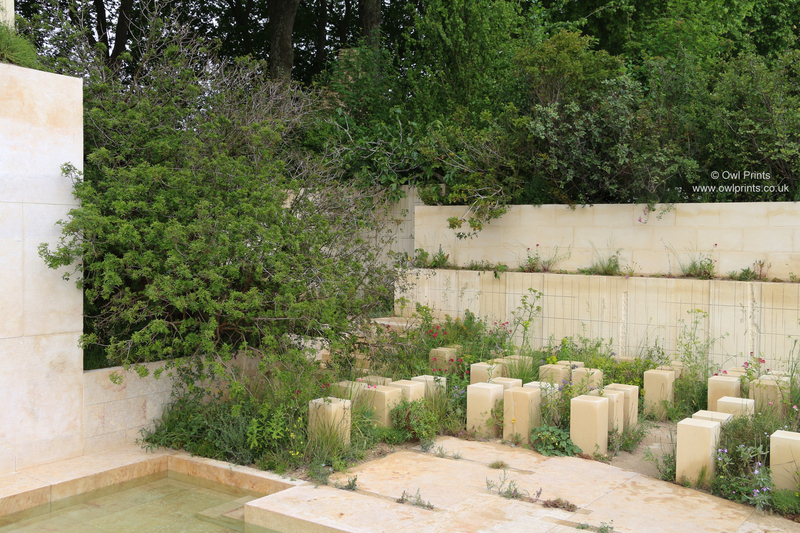 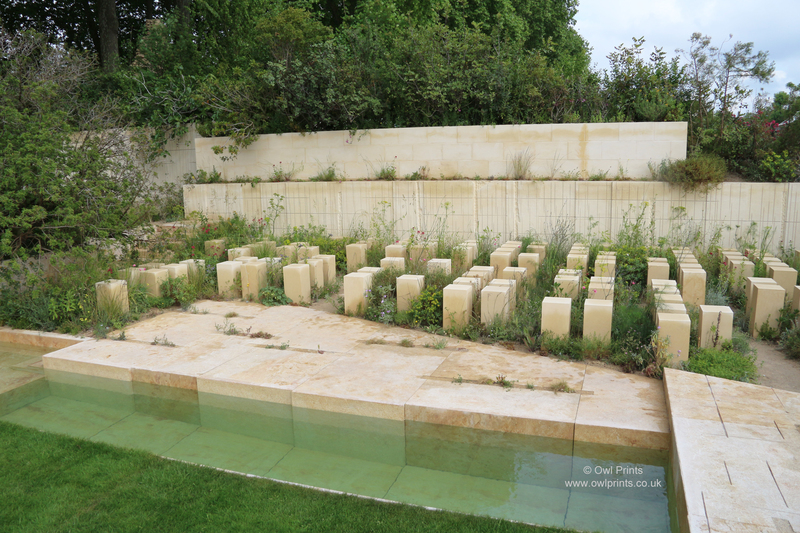 The M & G Garden, inspired by an abandoned Maltese quarry. 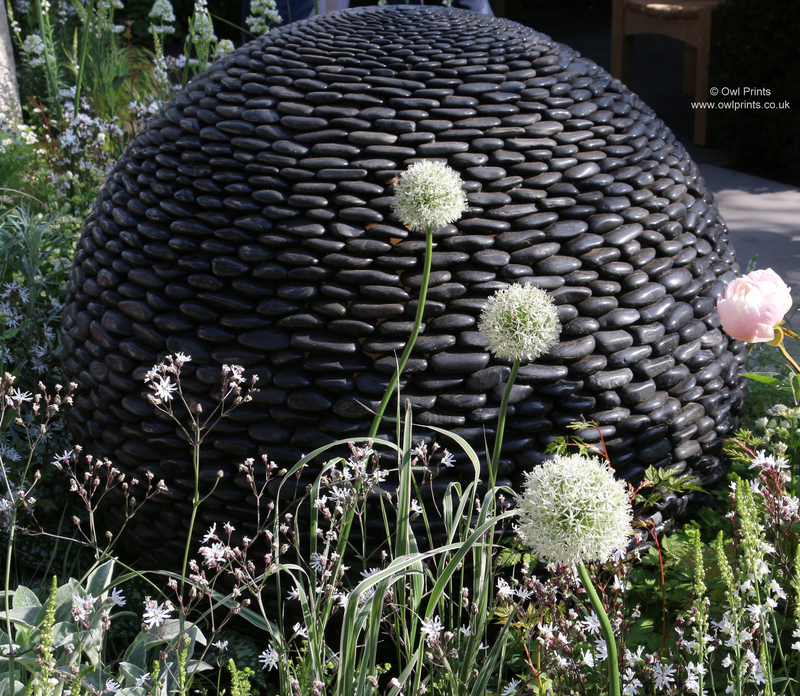 Designer James Basson. 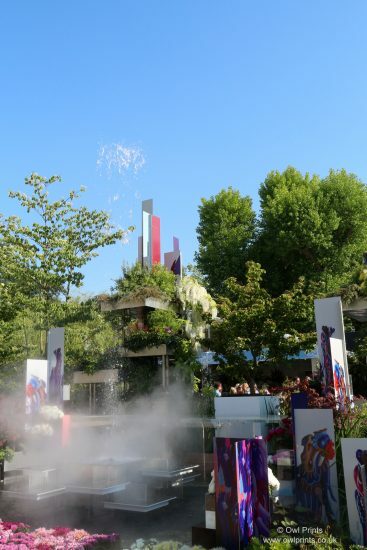 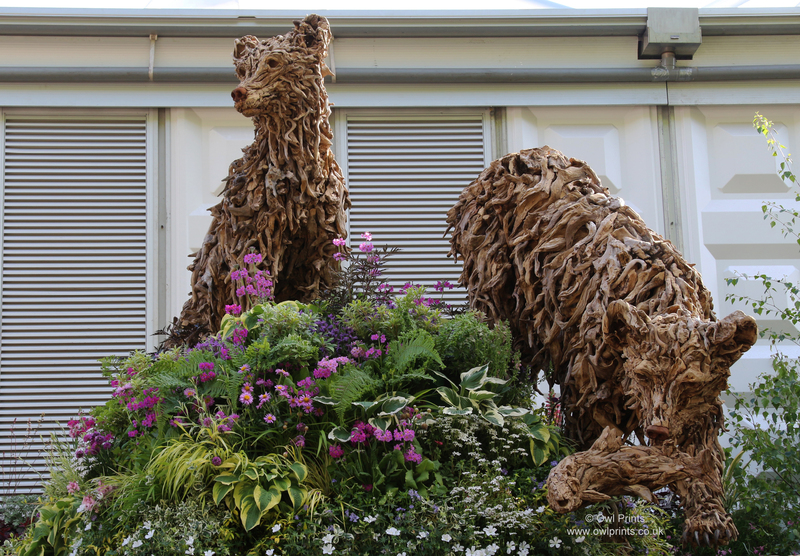 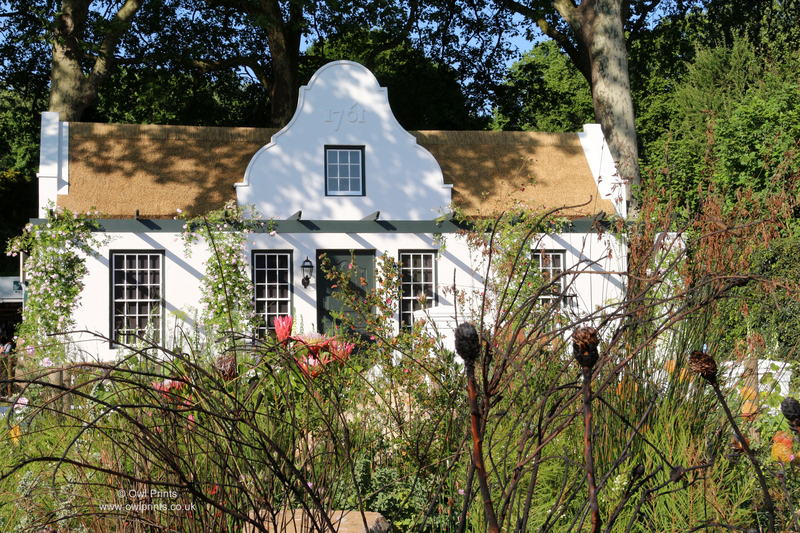 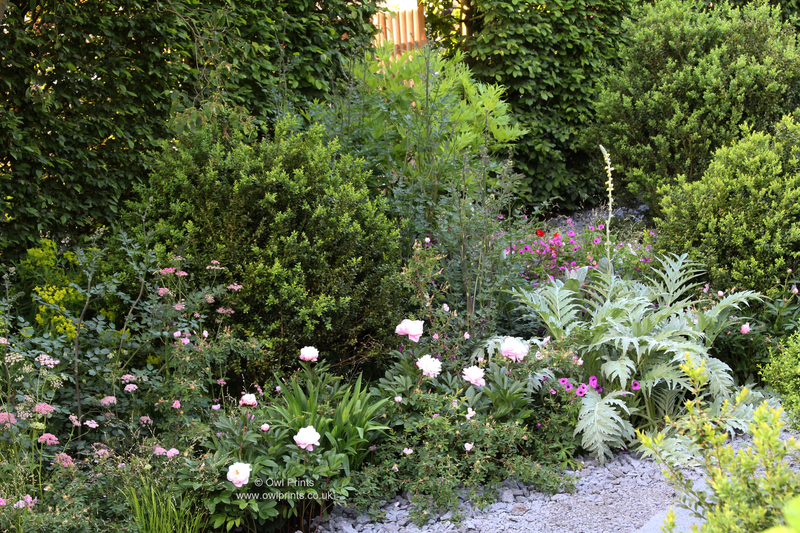 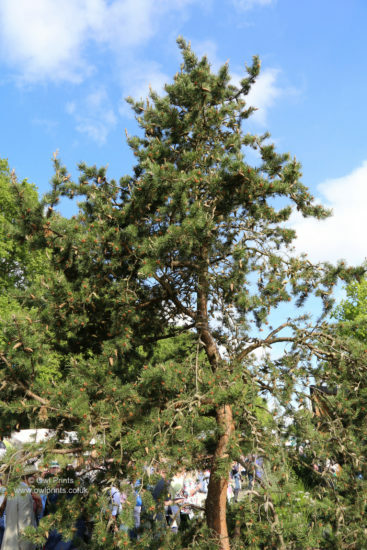 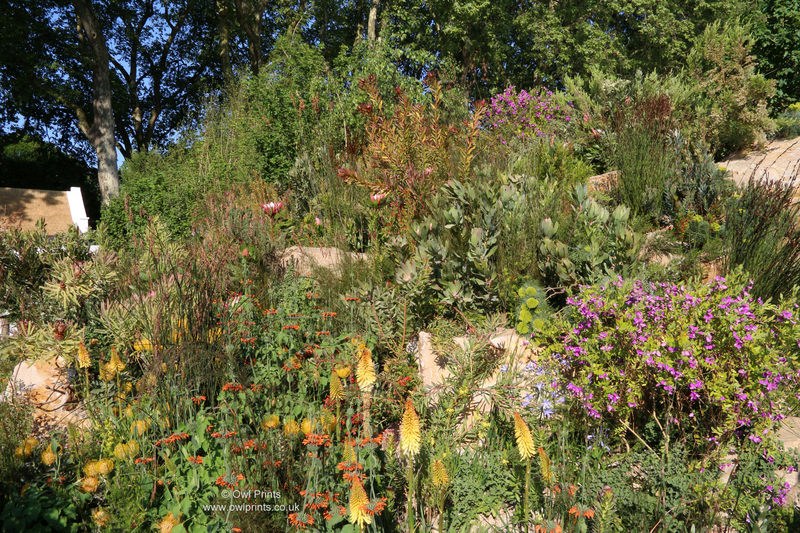 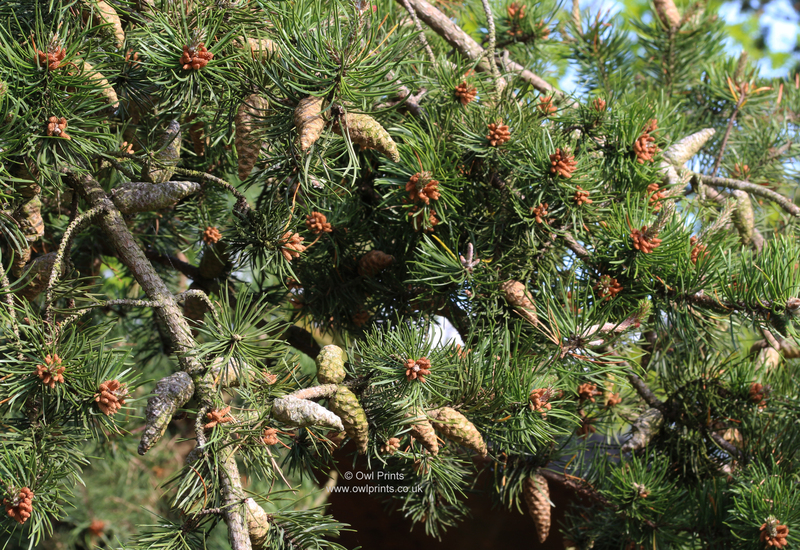 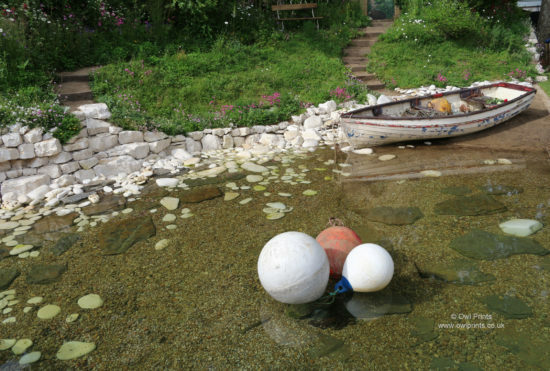 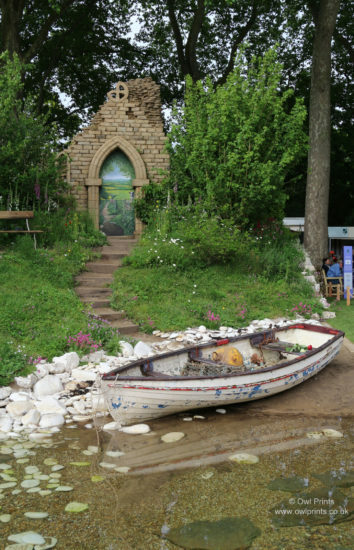 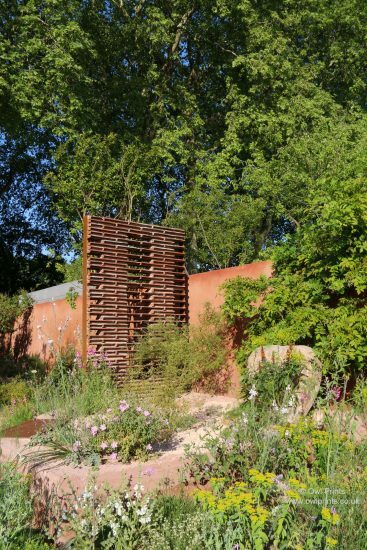 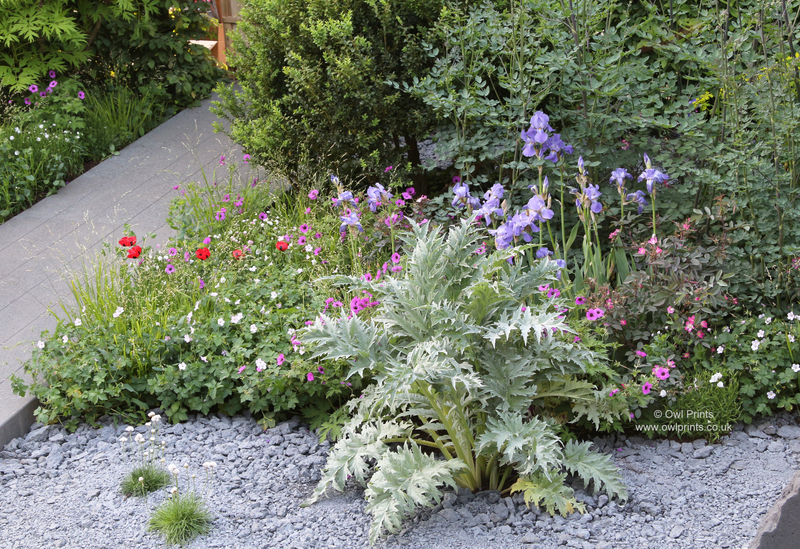 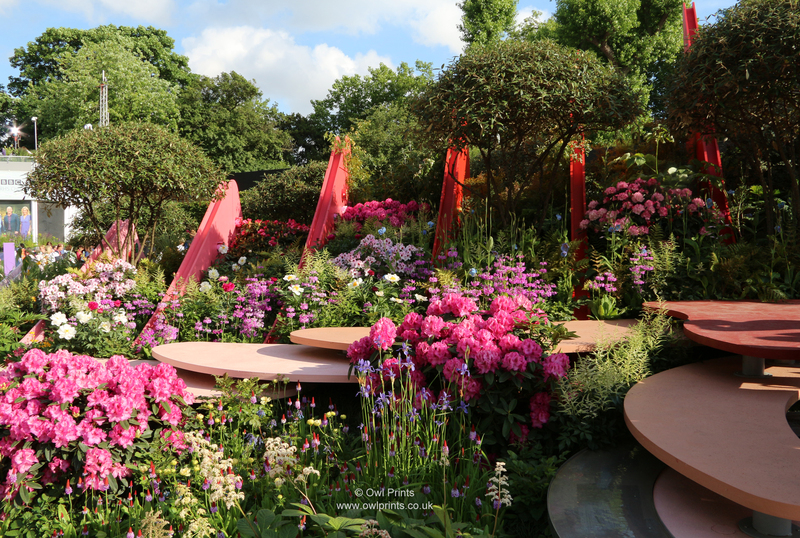 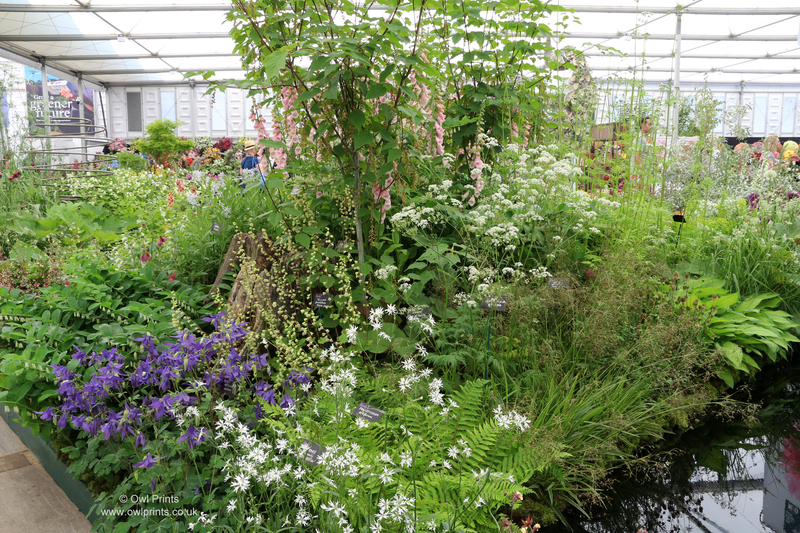 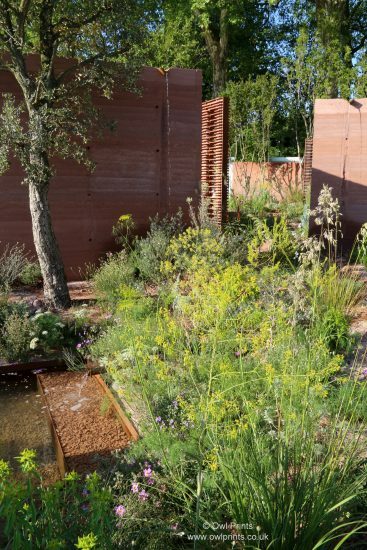 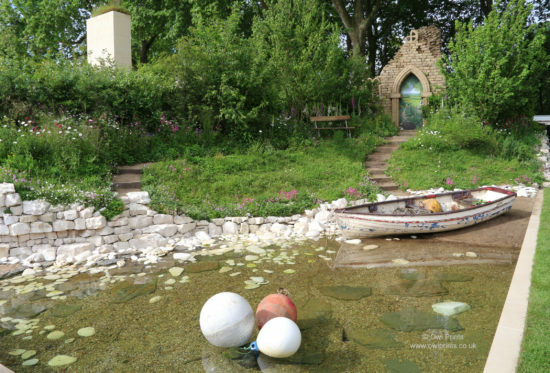 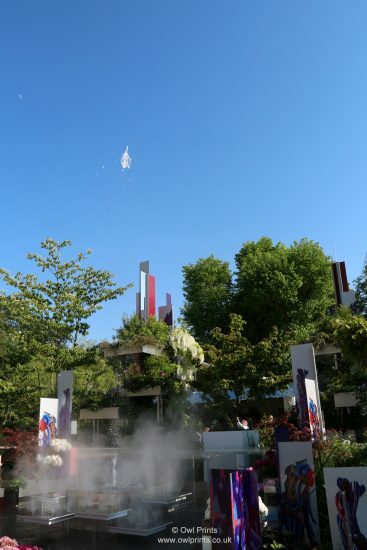 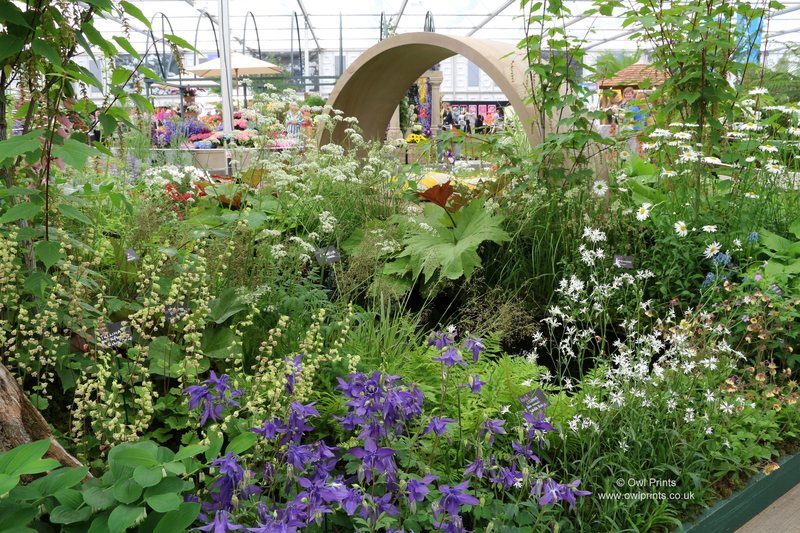 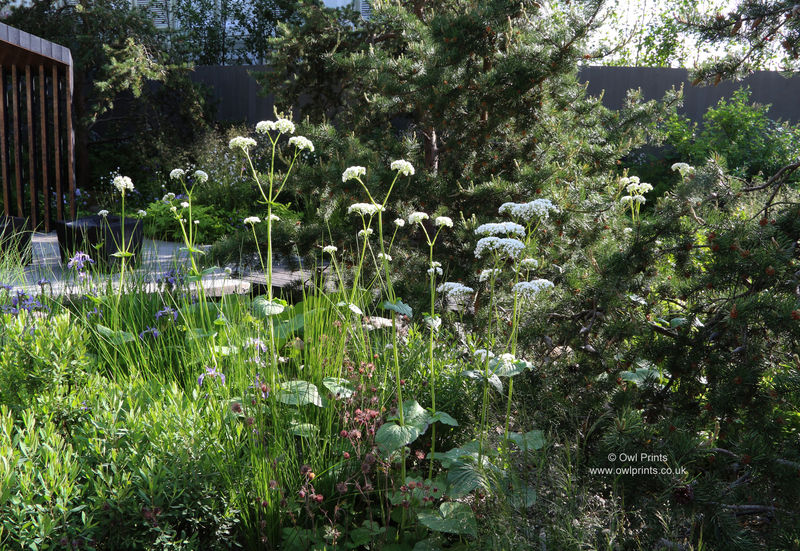 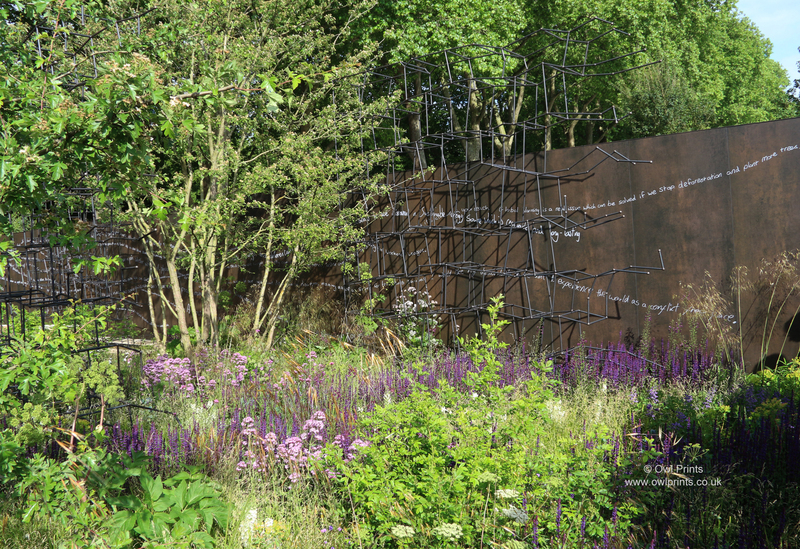 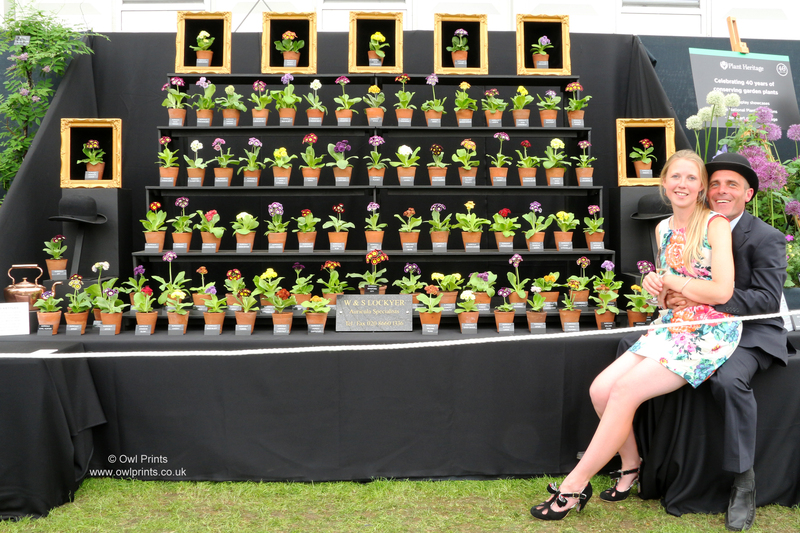 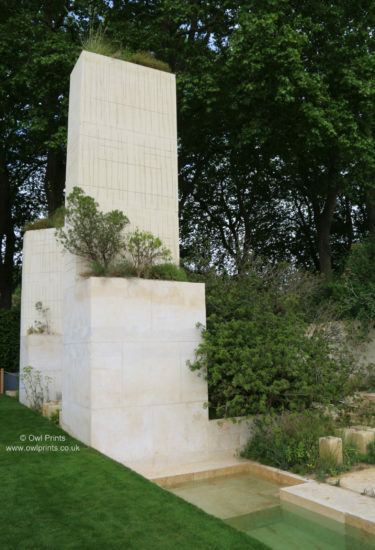 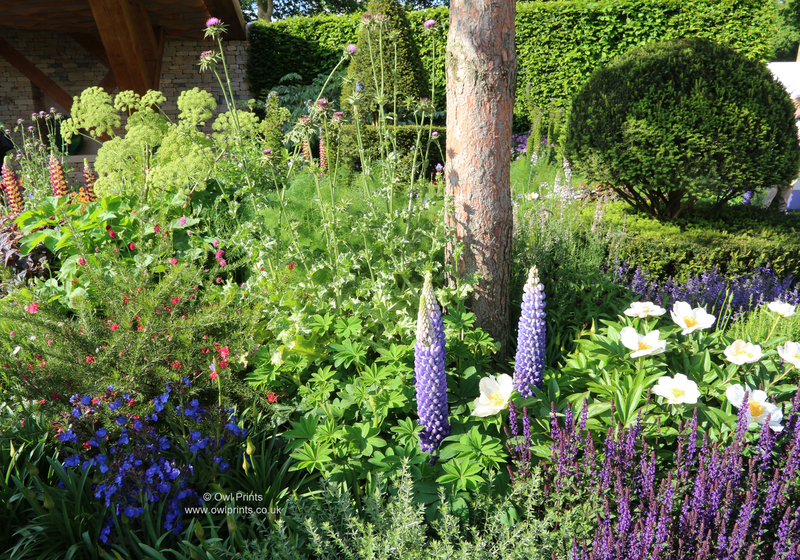 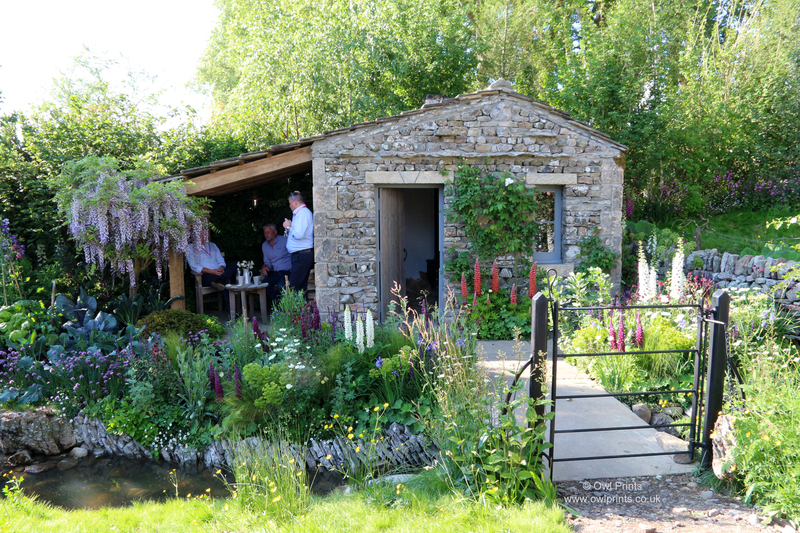 Awarded a Gold Medal and Best Show Garden, but….. 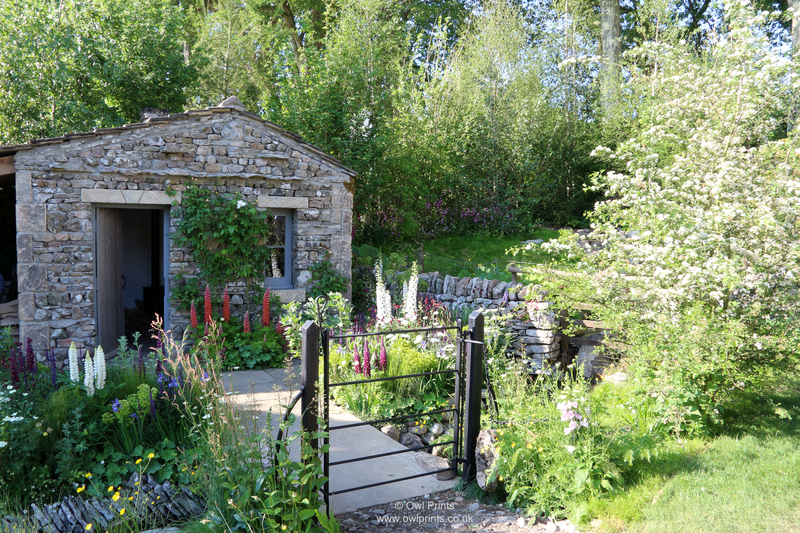 The Welcome to Yorkshire Garden. 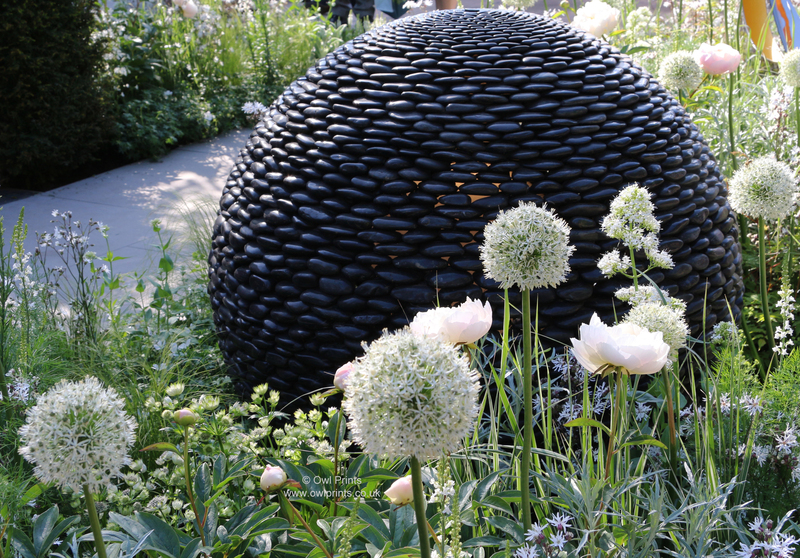 Designer Tracy Foster. 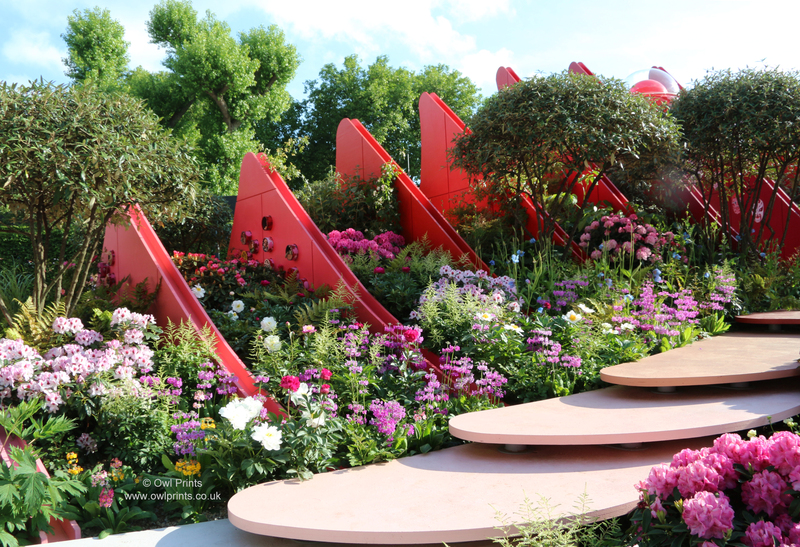 One of my favourite Show Gardens this year. 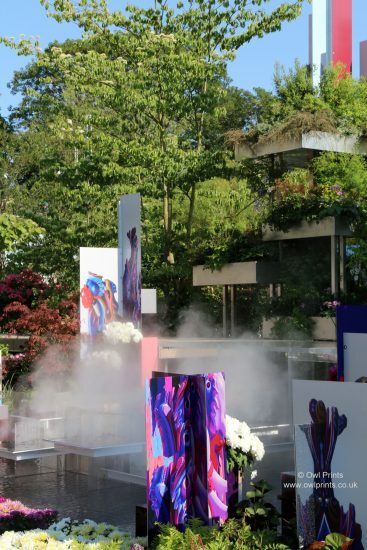 Royal Bank of Canada Garden. 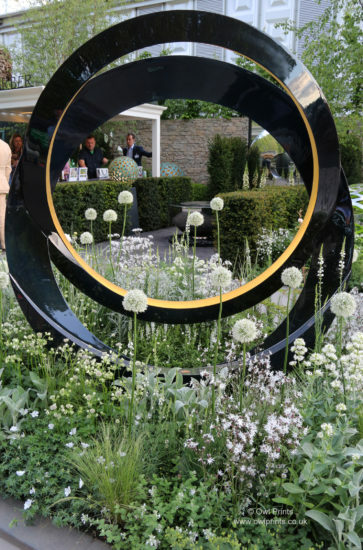 Designer Charlotte Harris. 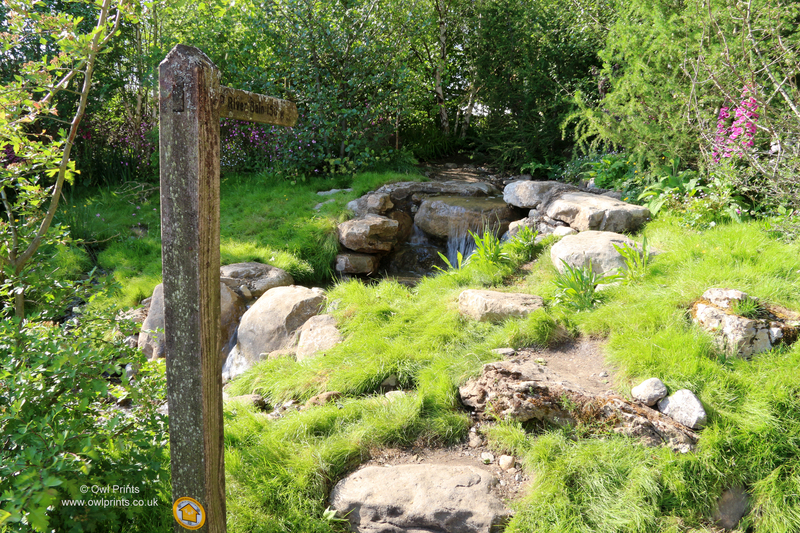 The Morgan Stanley Garden. 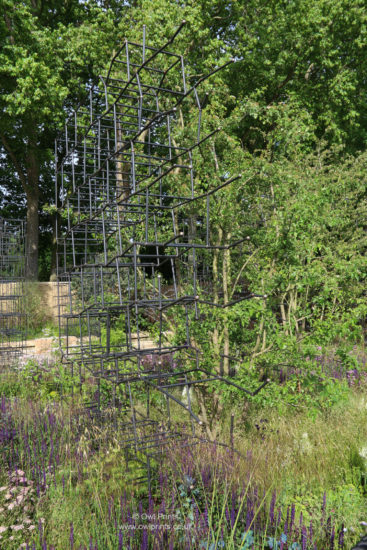 Designer Chris Beardshaw. 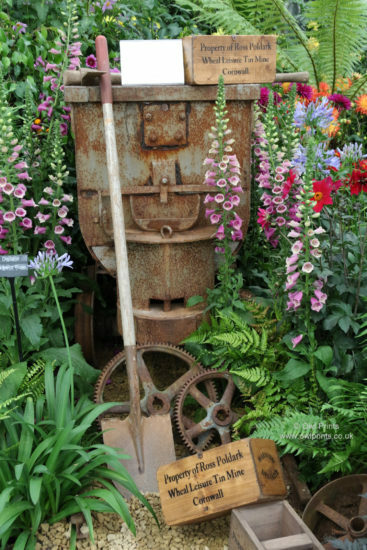 Breaking Ground. 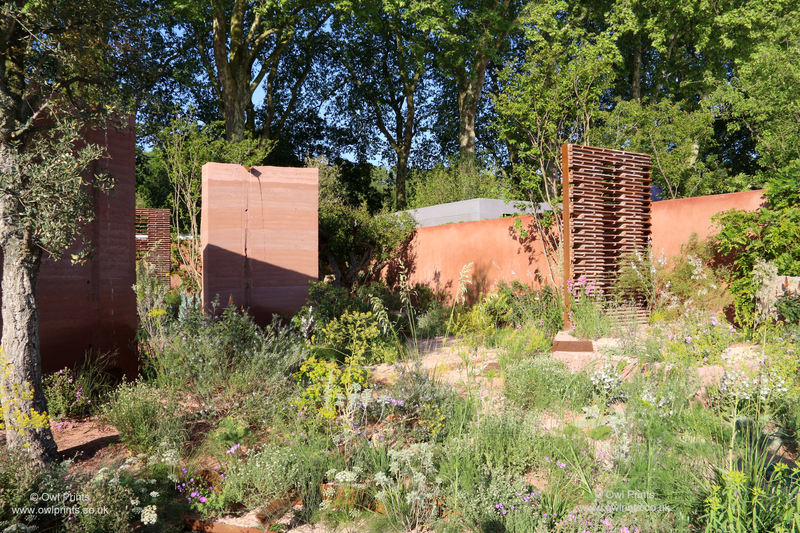 Designers Andrew Wilson and Gavin McWilliam. 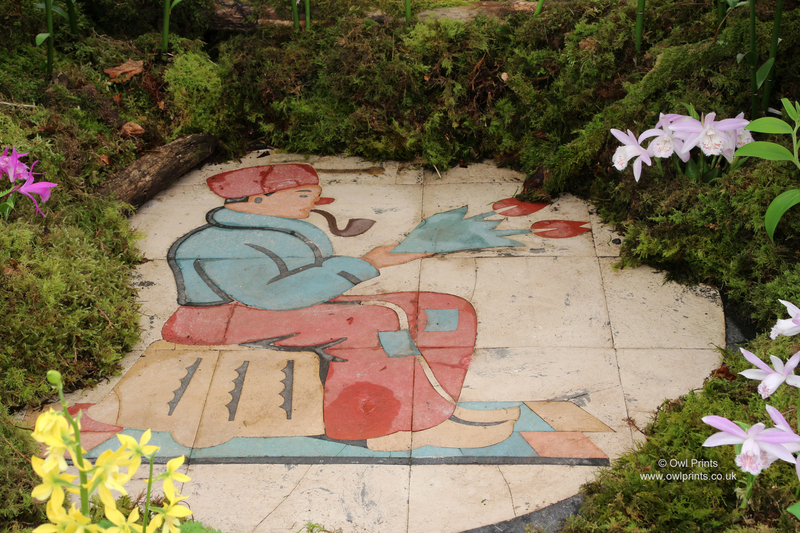 Silk Road Garden, Chengdu, China. 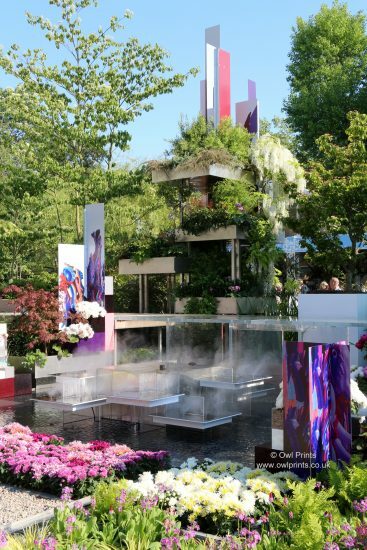 Designers Laurie Chetwood and Patrick Collins. 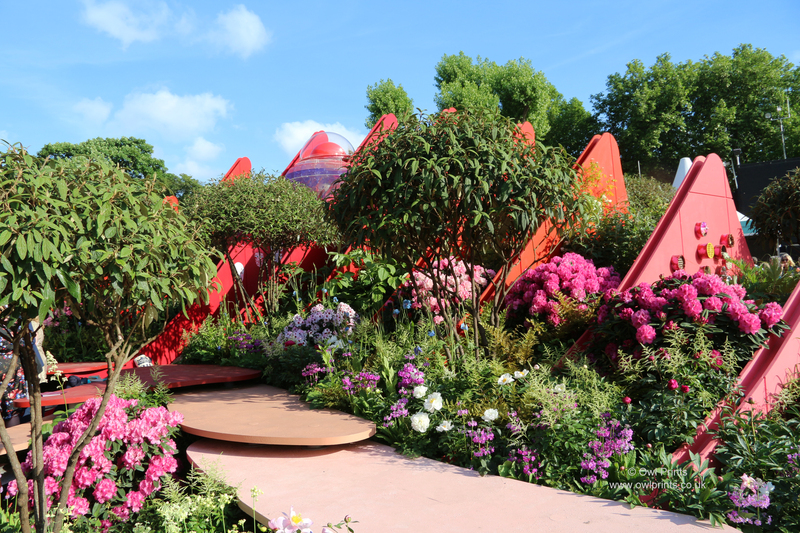 Looking great in the glorious late afternoon sunshine. 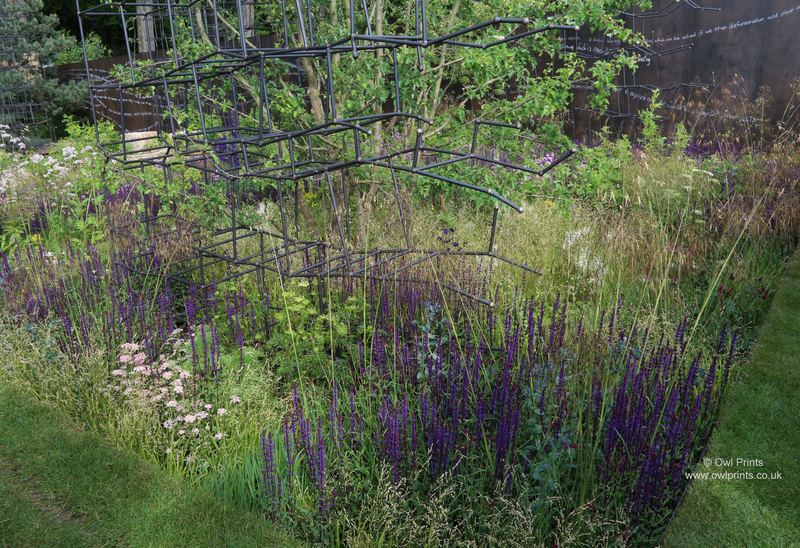 Linklaters Garden for Maggie’s. 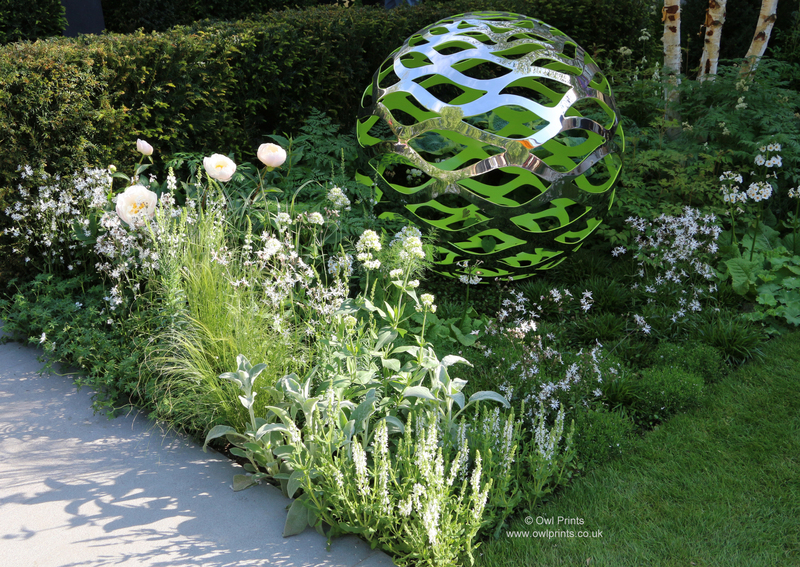 Designer Darren Hawkes. 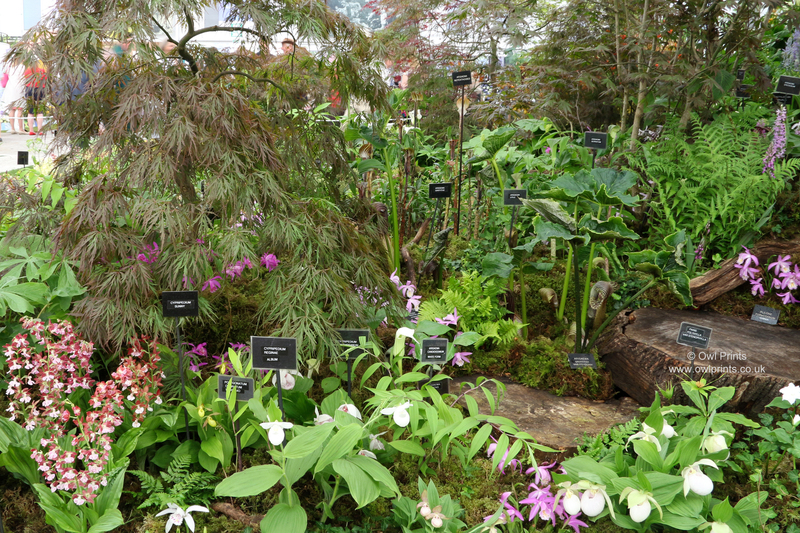 The standard of some of the Trade Stands often rivals that of the Show Gardens. 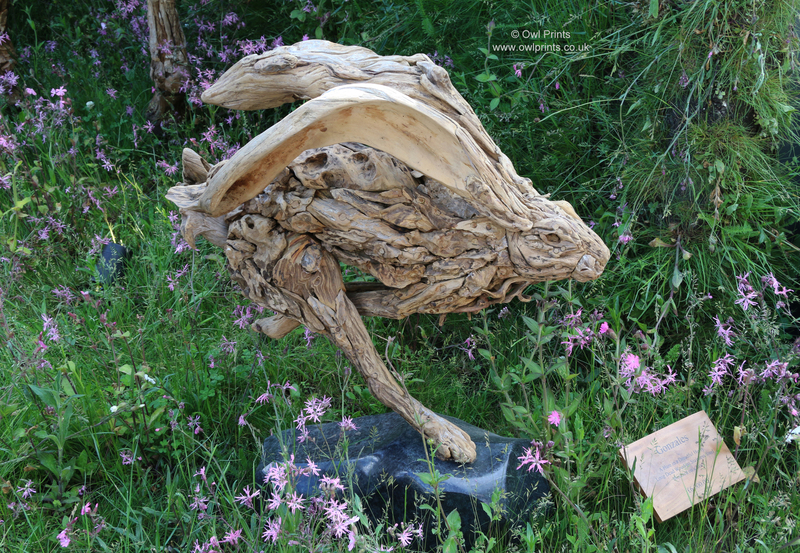 James Doran-Webb Ltd. Driftwood animal sculptures. 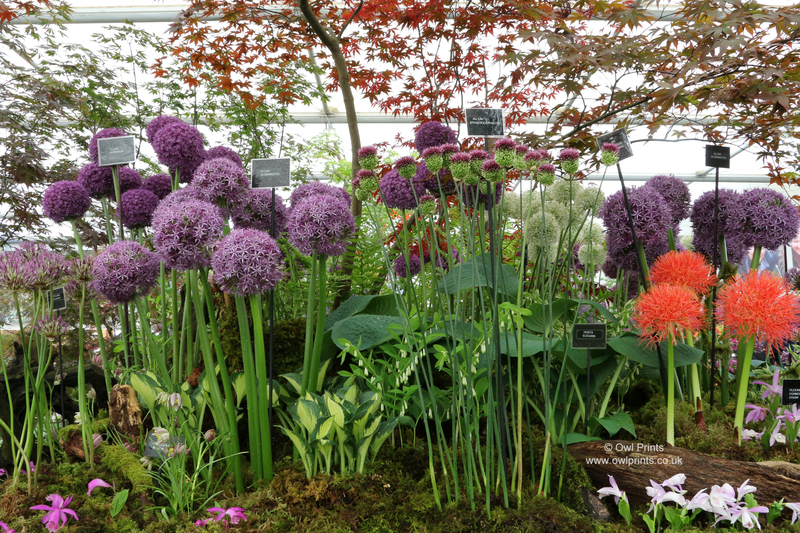 As always some superb nursery displays in the Great Pavilion. 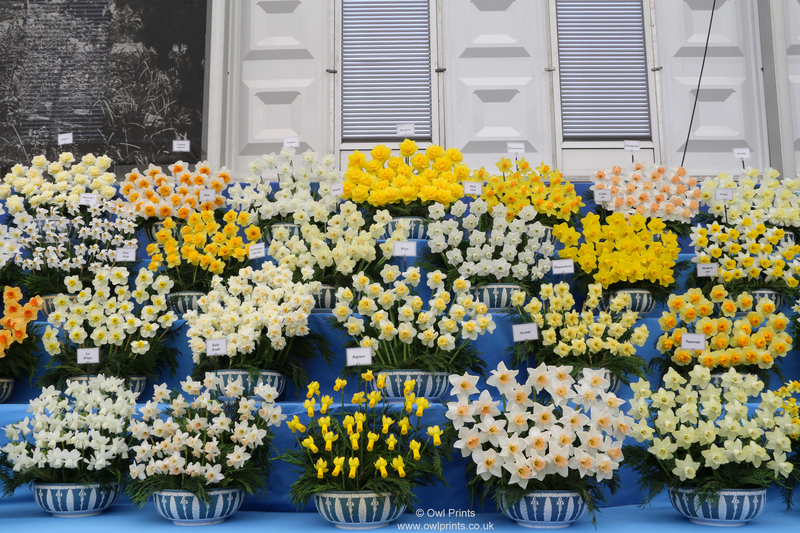 Three of the best Gold Medal displays. 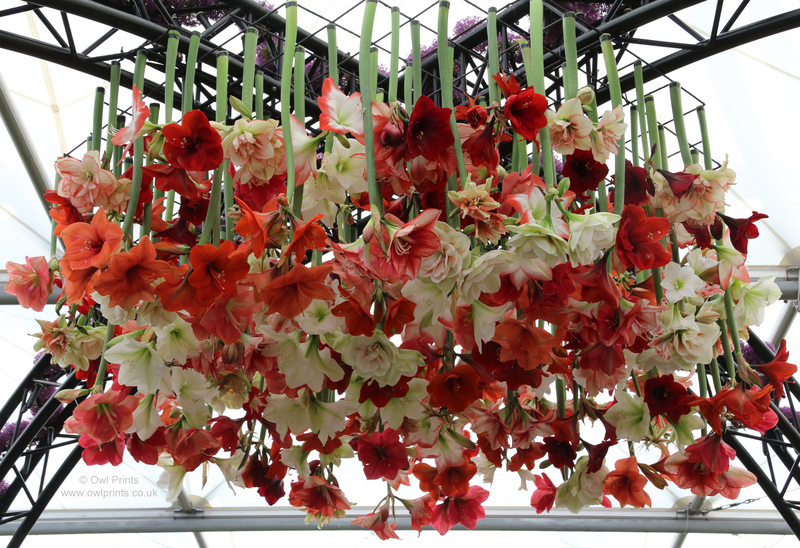 W S Warmenhoven display of Hippeastrum. 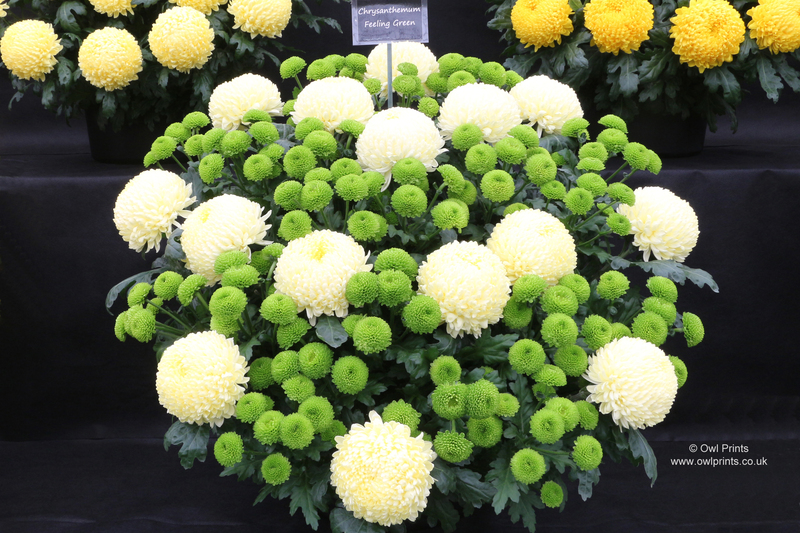 Awarded Gold Medal. 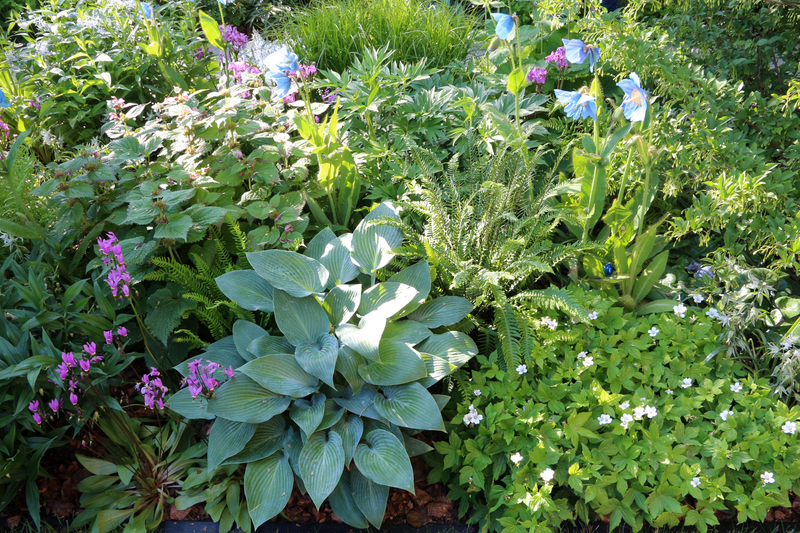 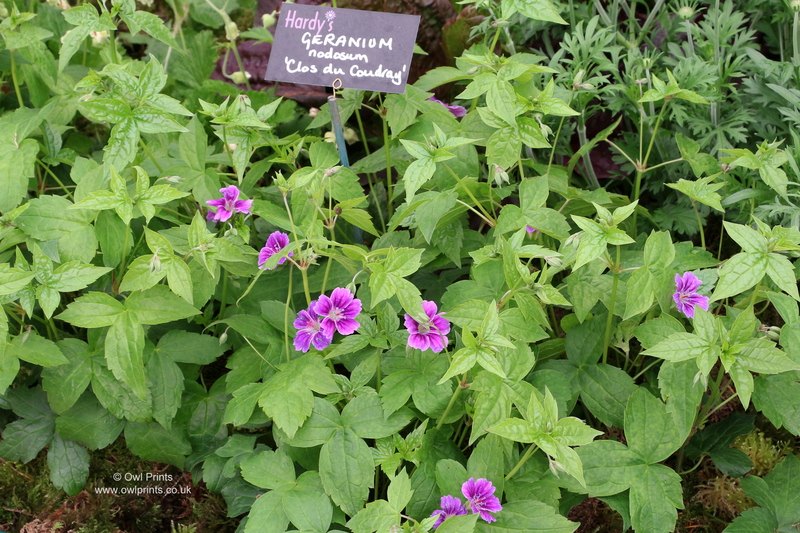 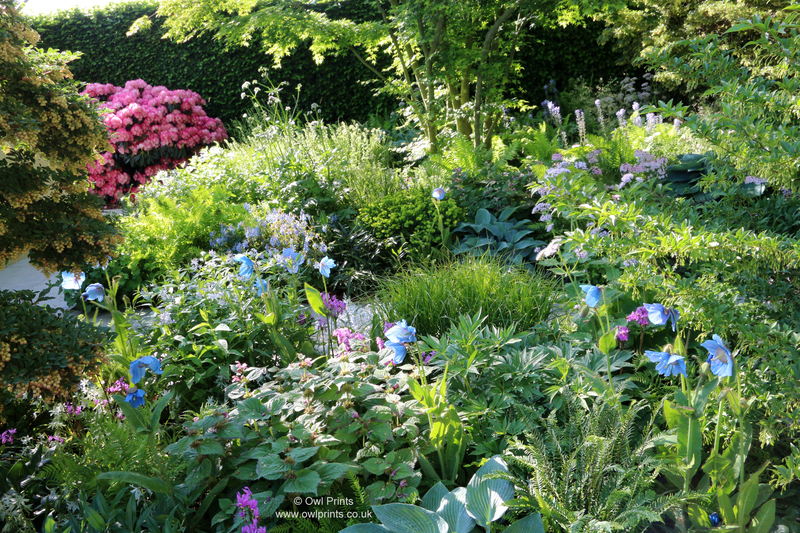 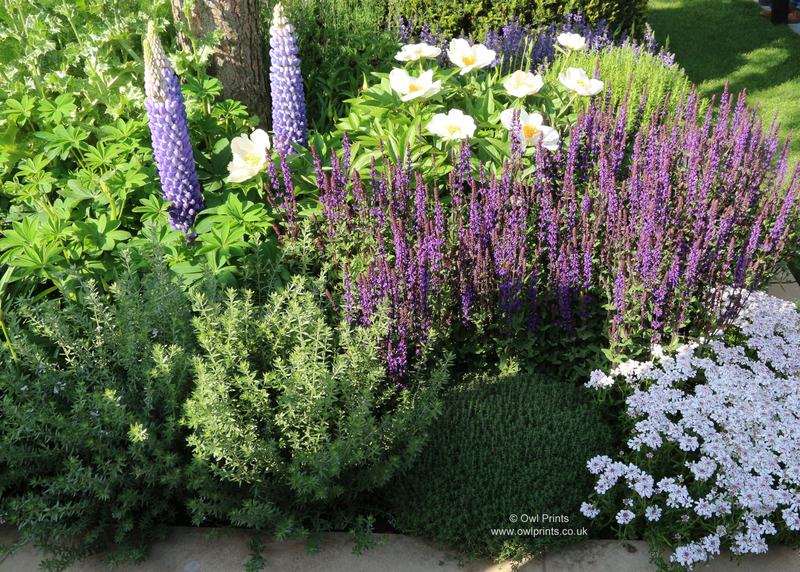 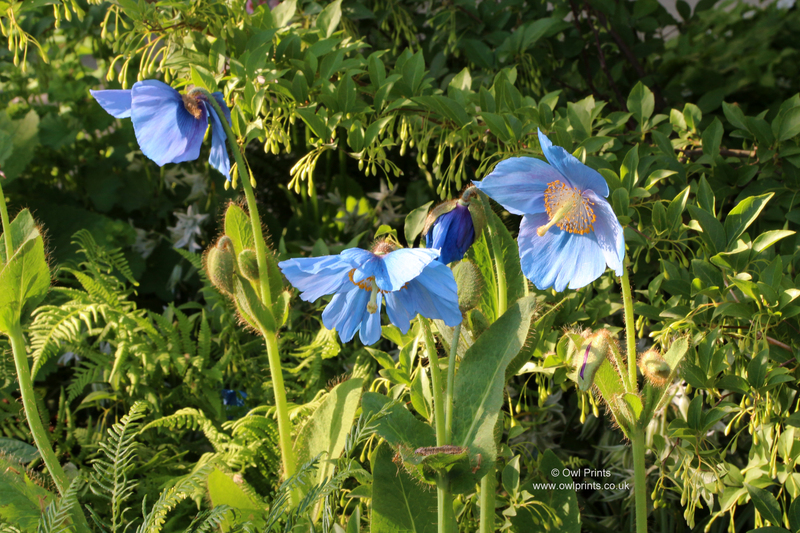 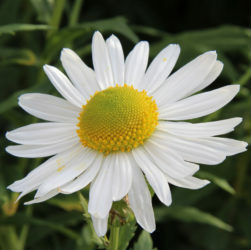 Hardy’s Cottage Garden Plants. 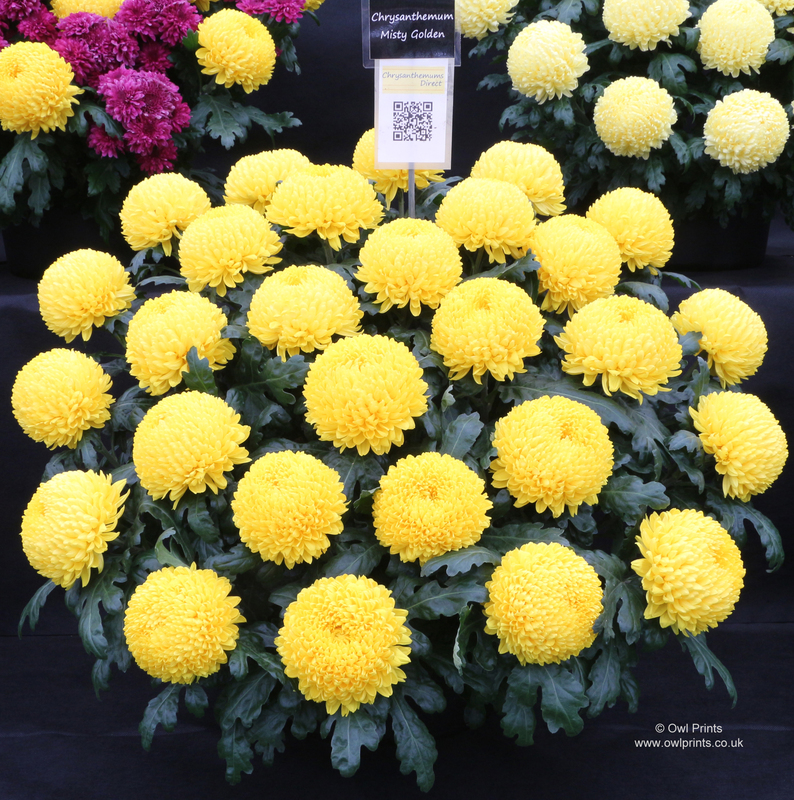 Awarded Gold Medal. 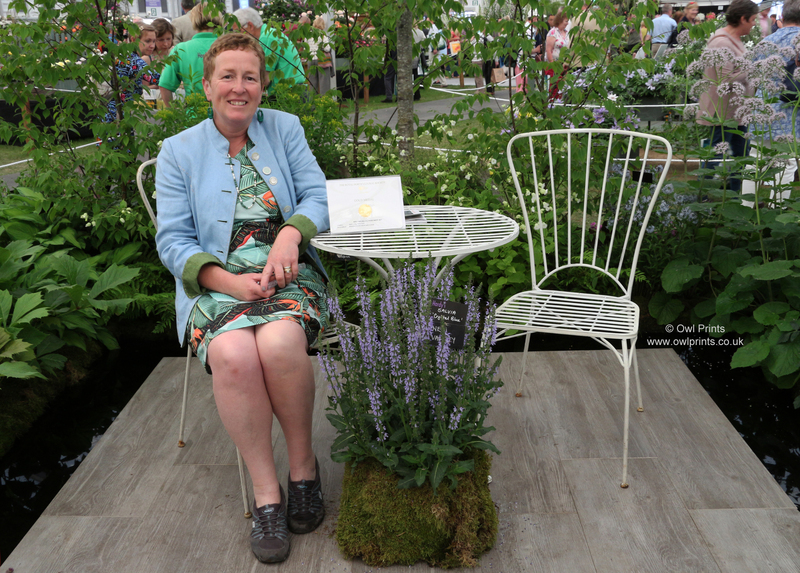 Rosy Hardy having a short rest on her display after a busy Tuesday! 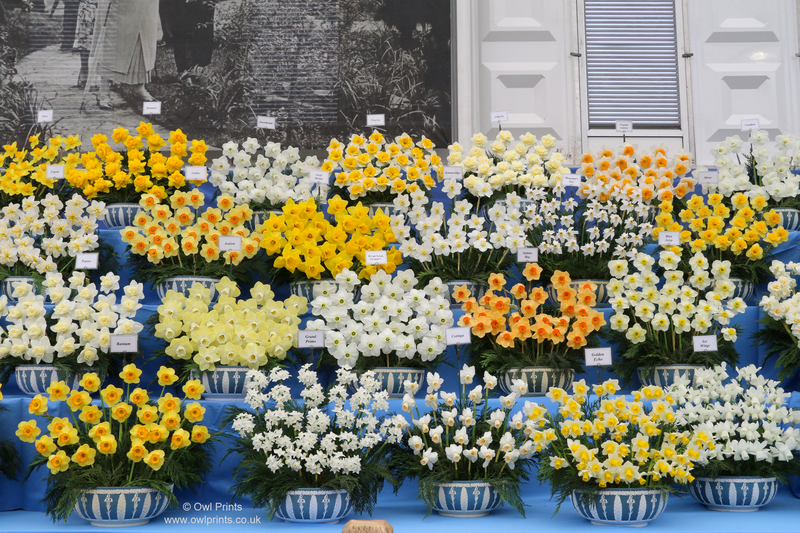 Daisy Roots display. 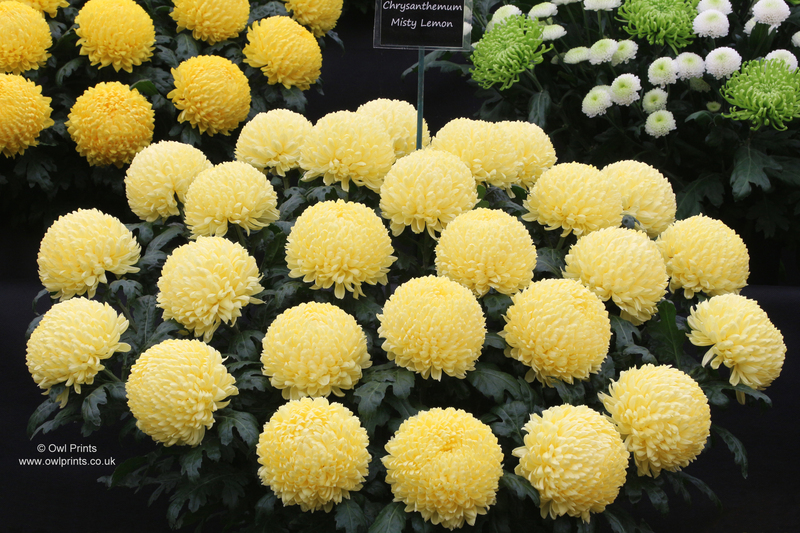 Awarded Gold Medal. 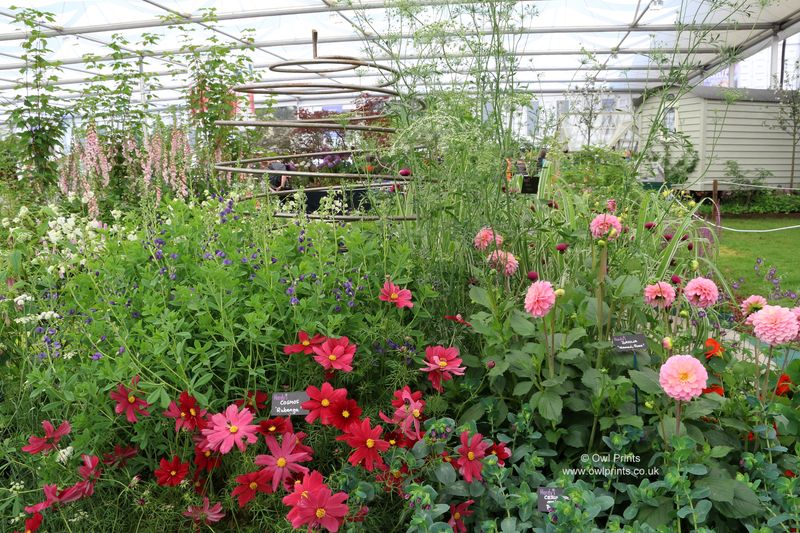 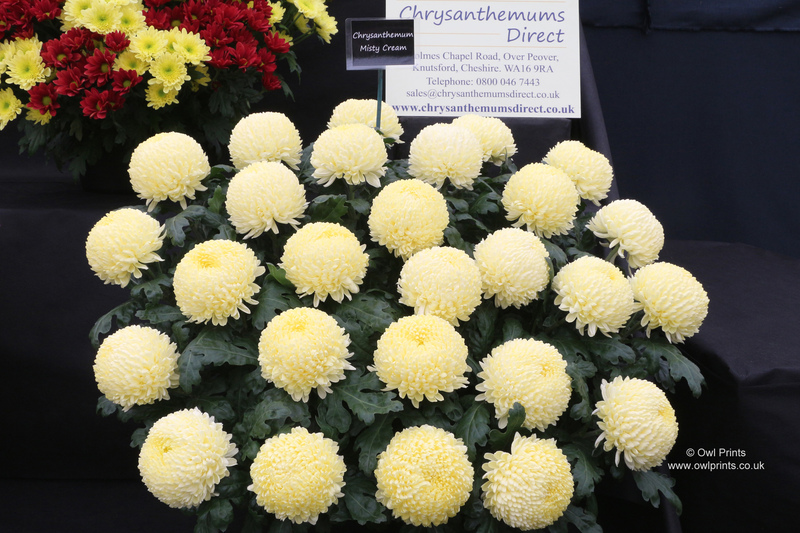 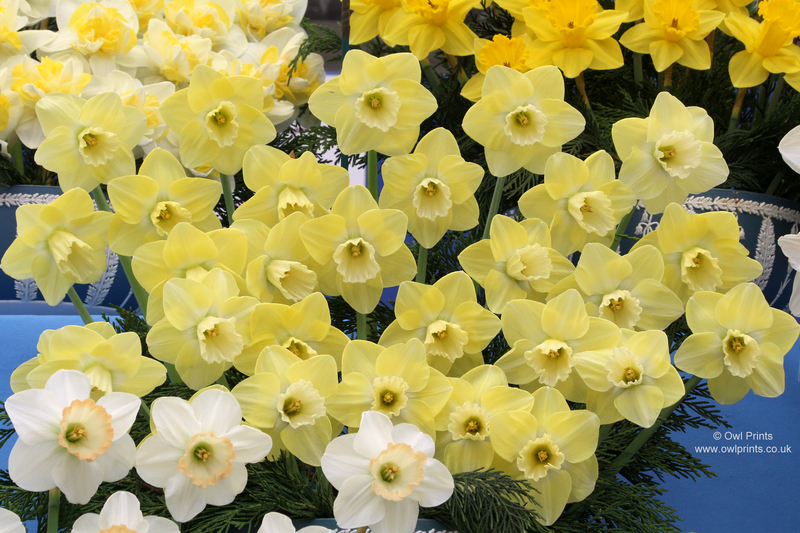 A celebration of Cornish heritage from the National Dahlia Collection, with a reference to Ross Poldark!